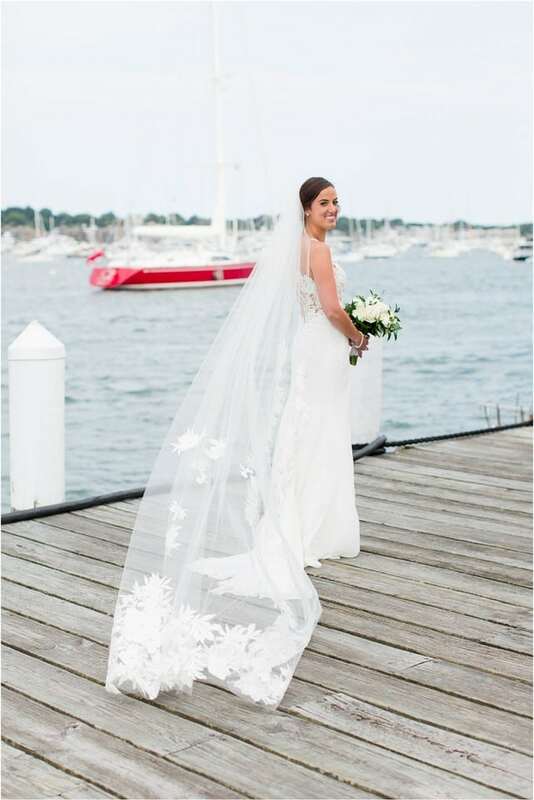 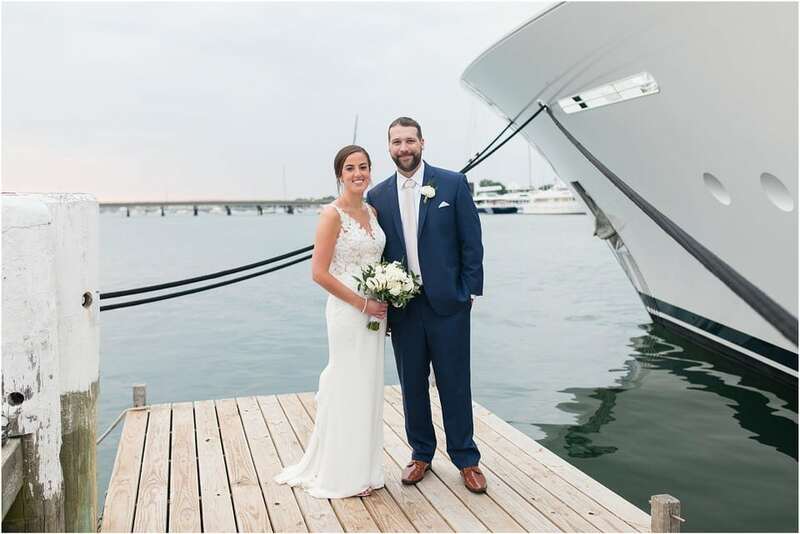 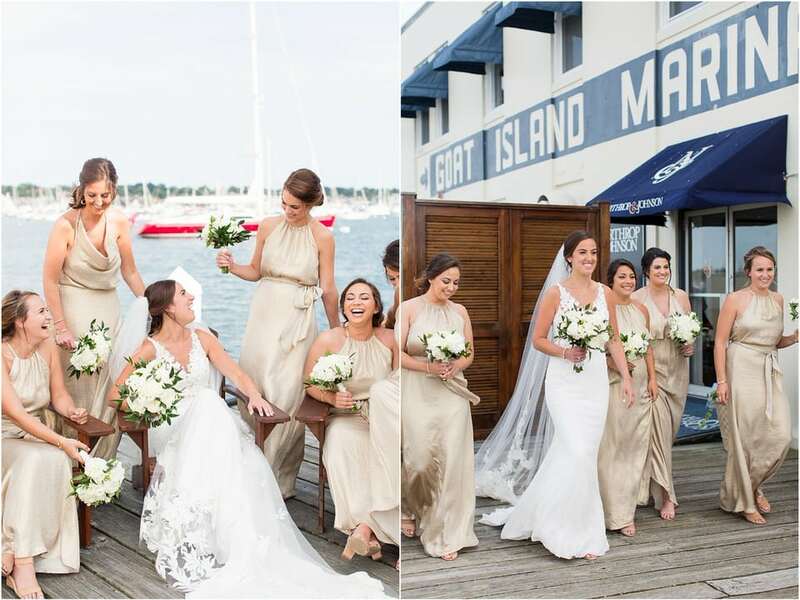 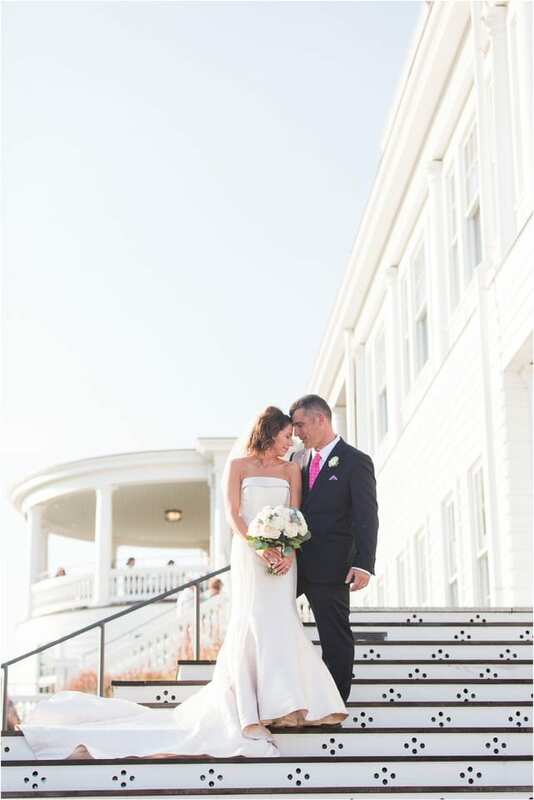 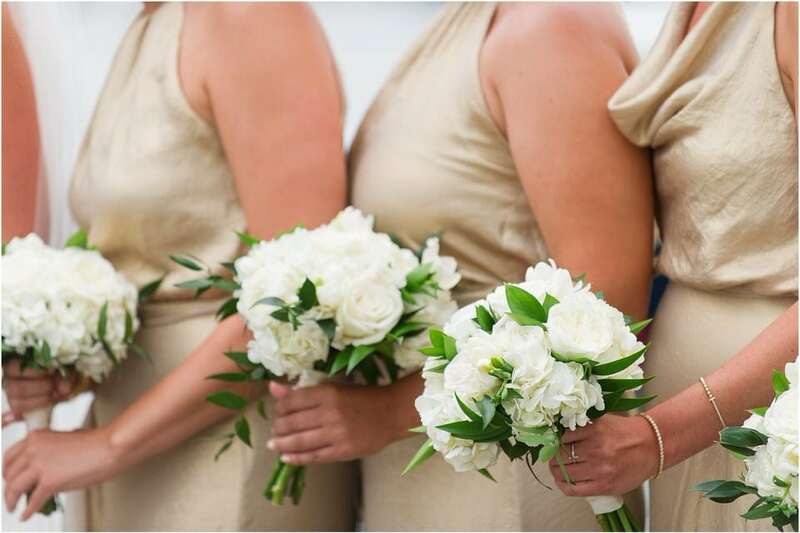 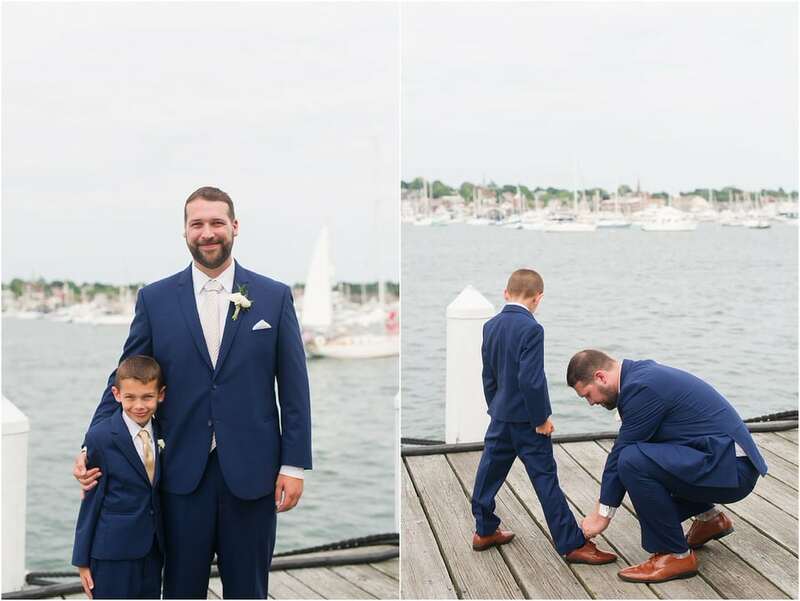 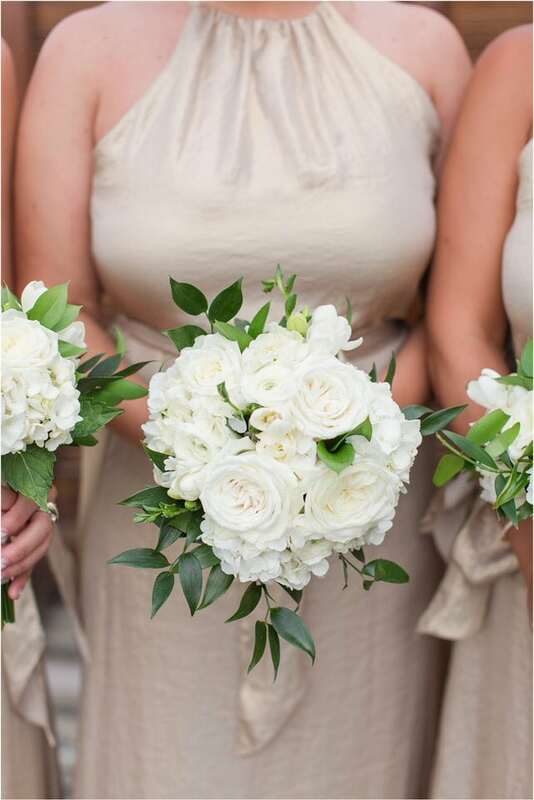 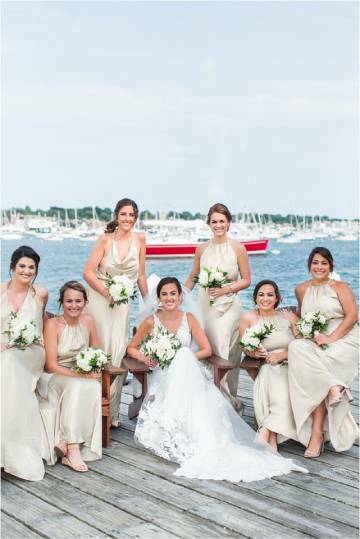 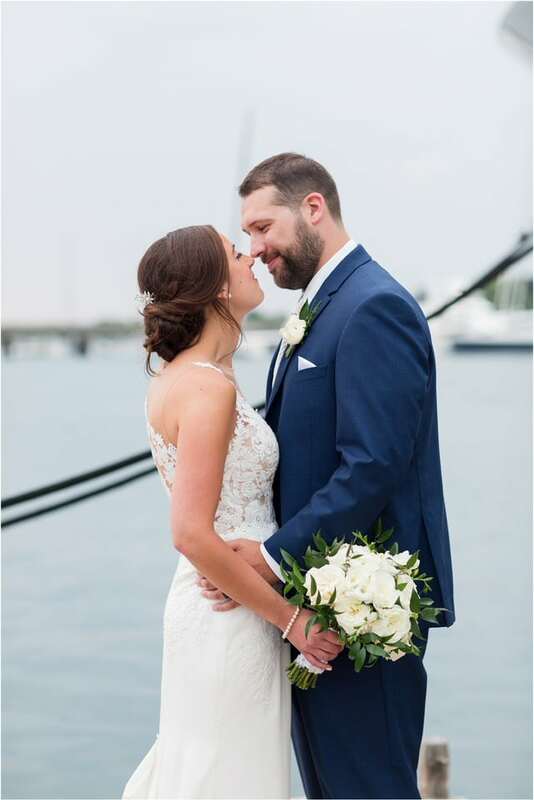 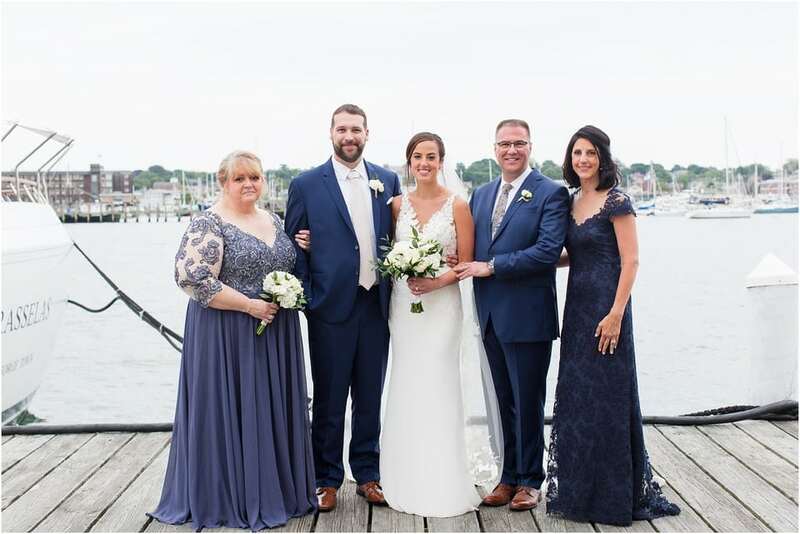 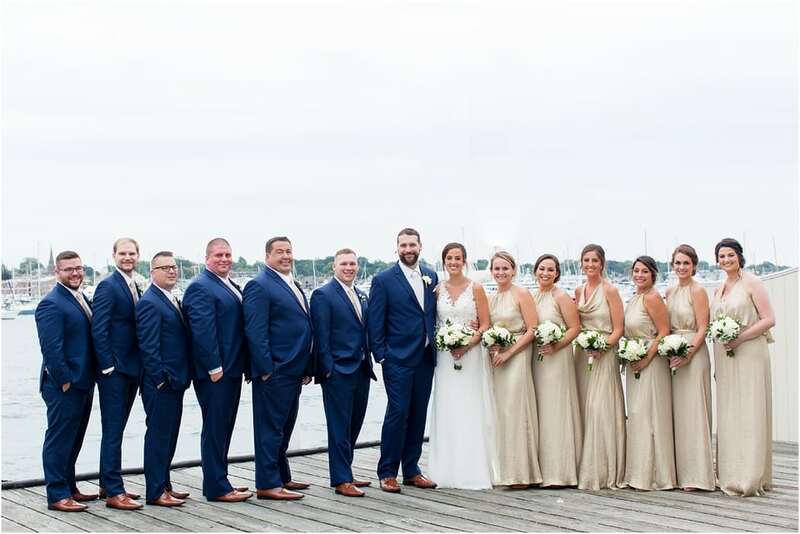 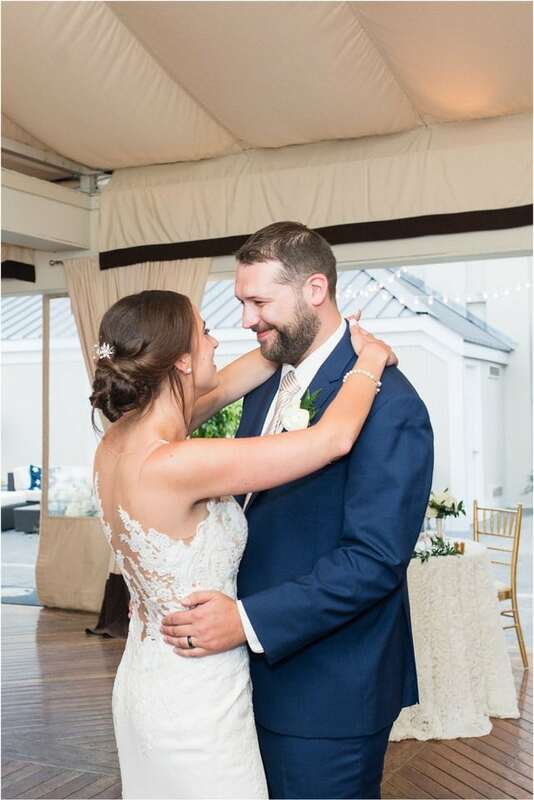 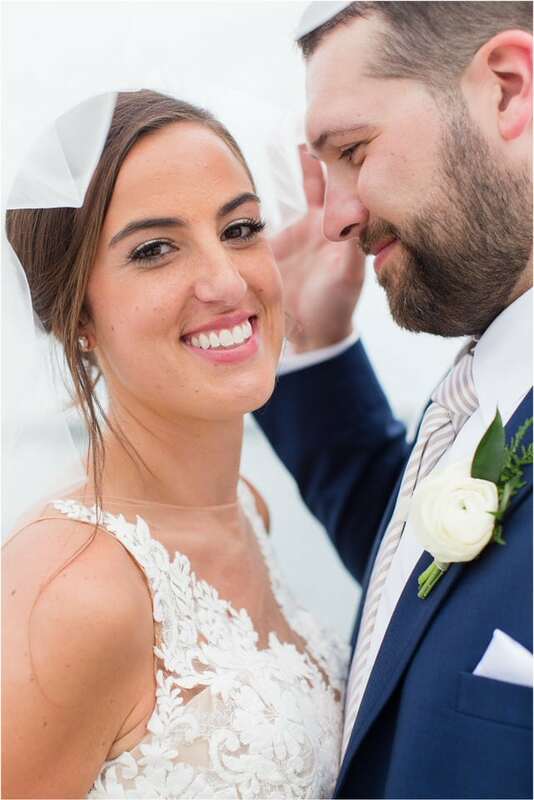 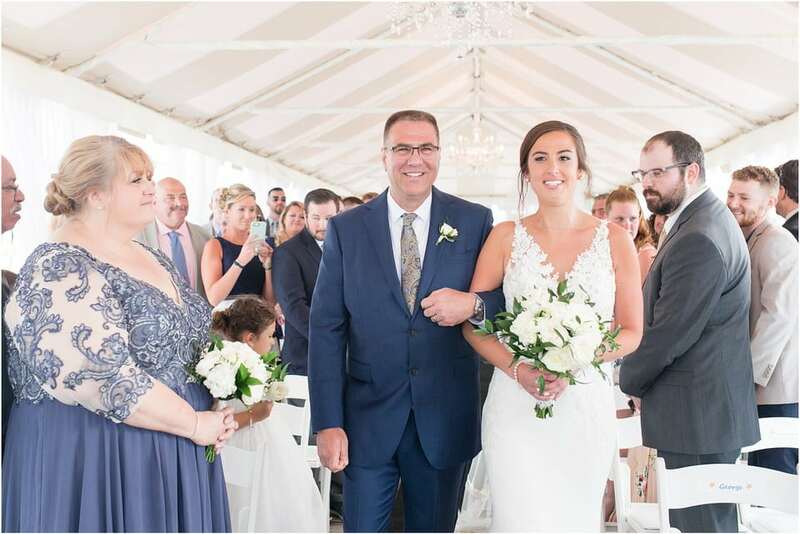 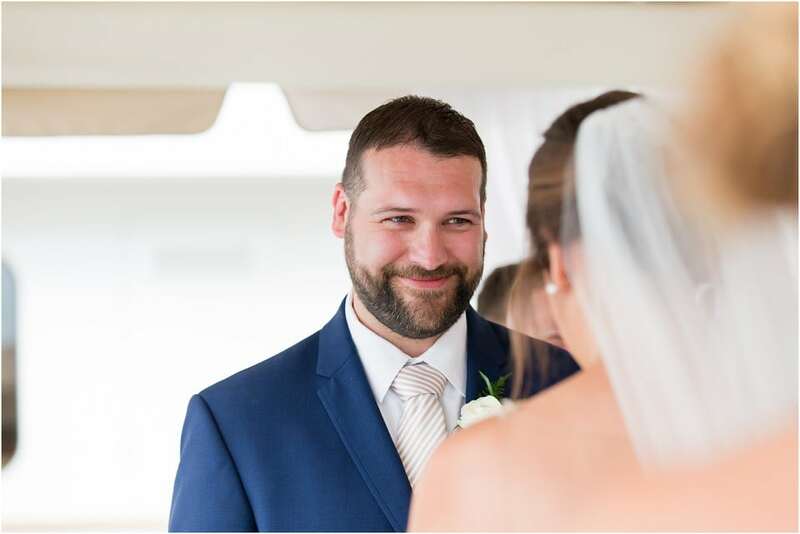 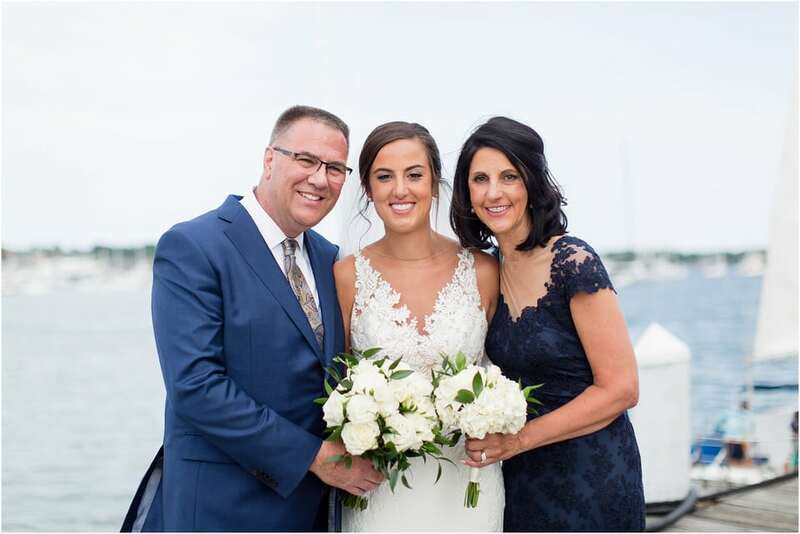 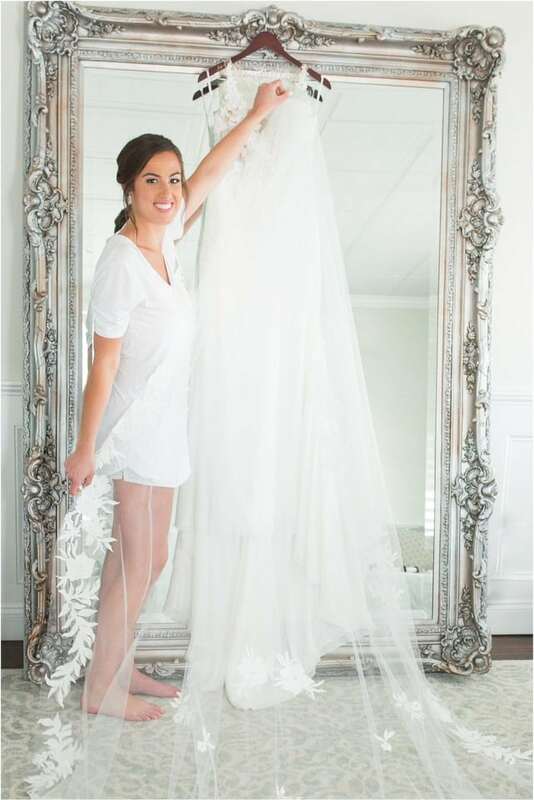 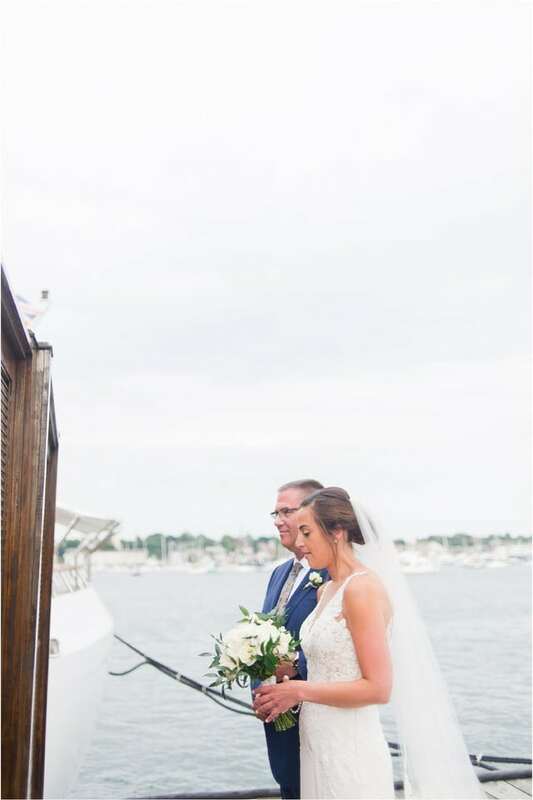 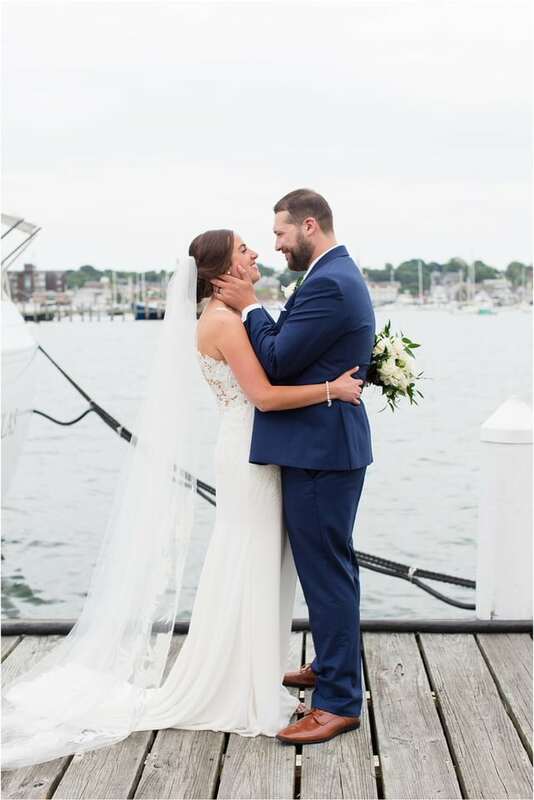 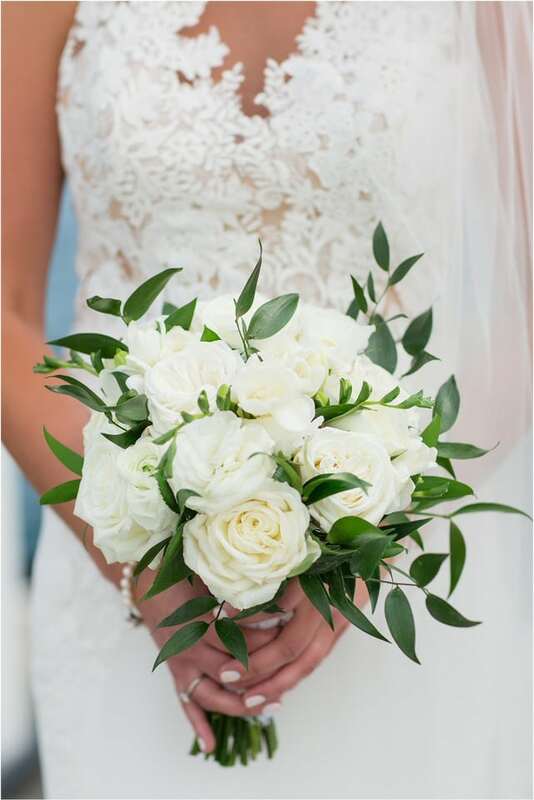 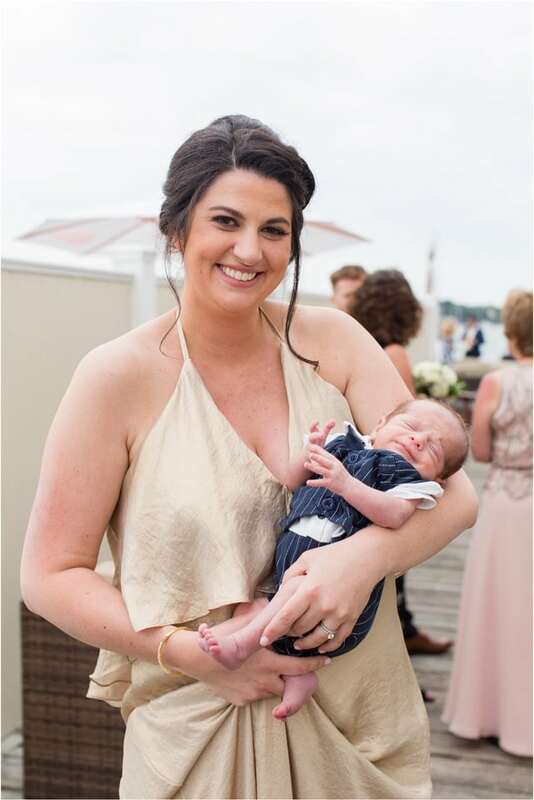 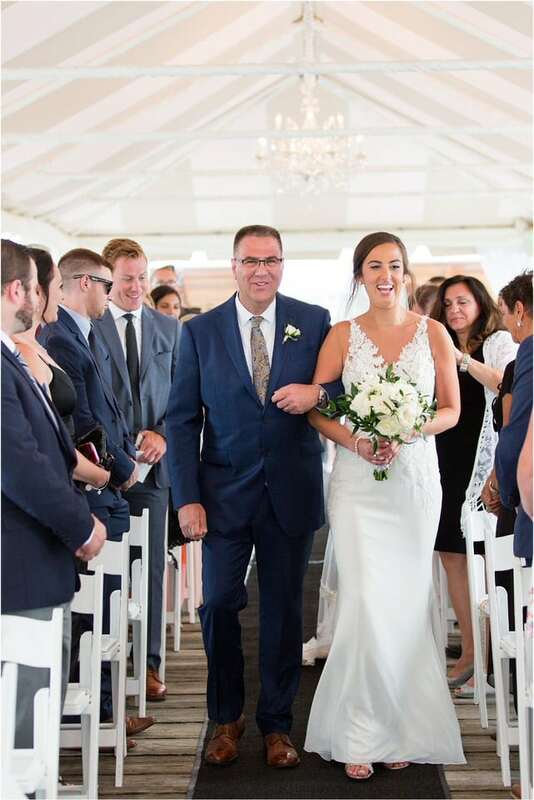 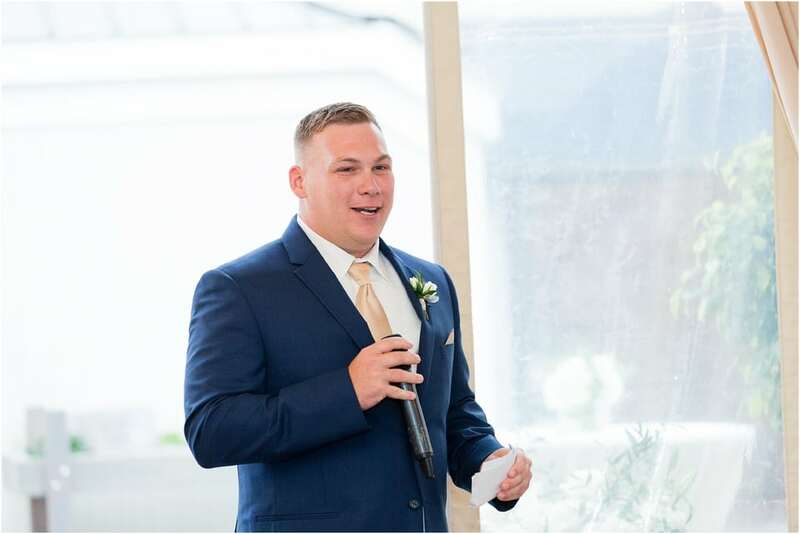 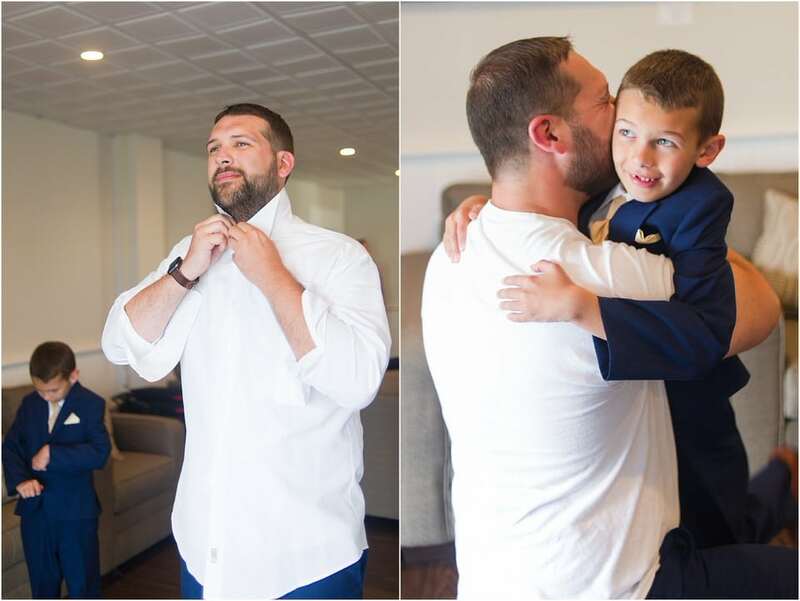 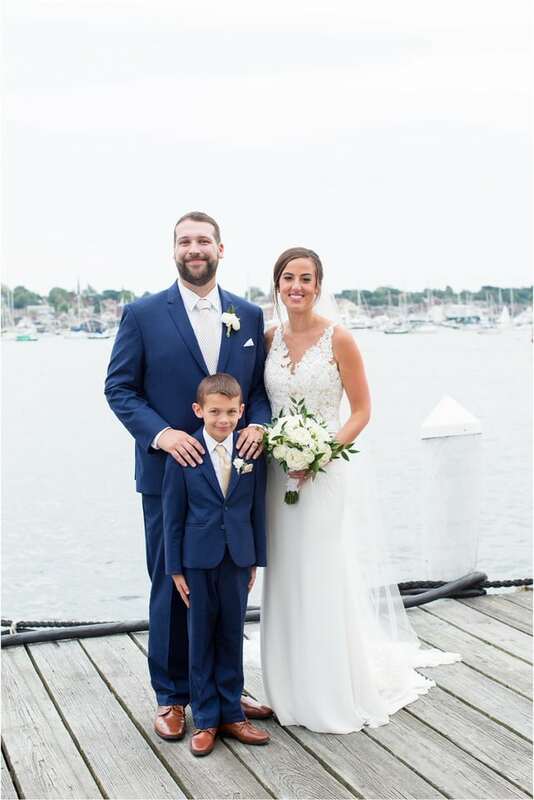 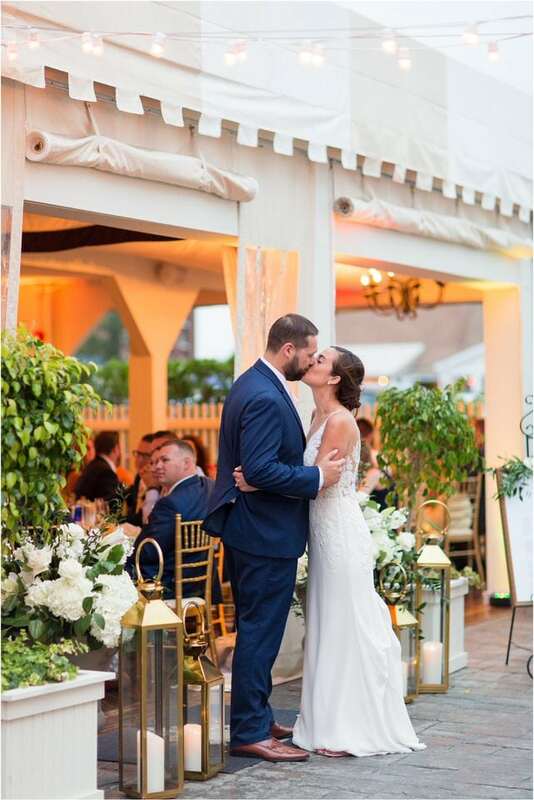 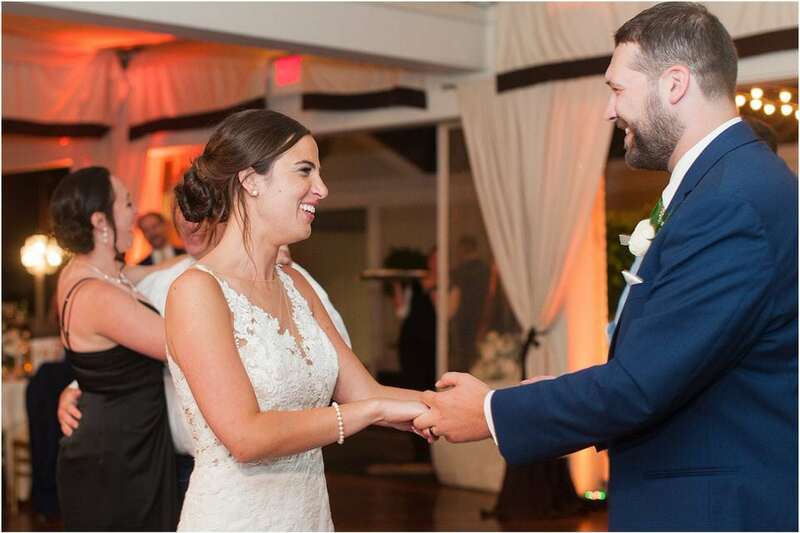 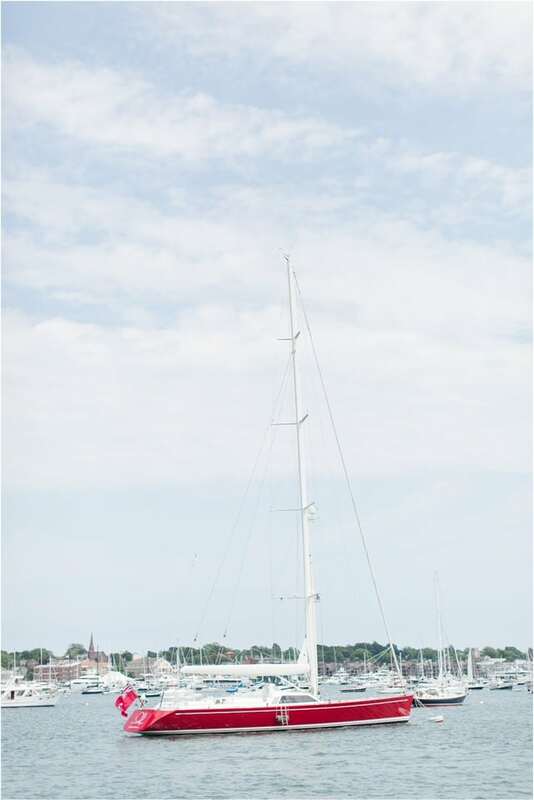 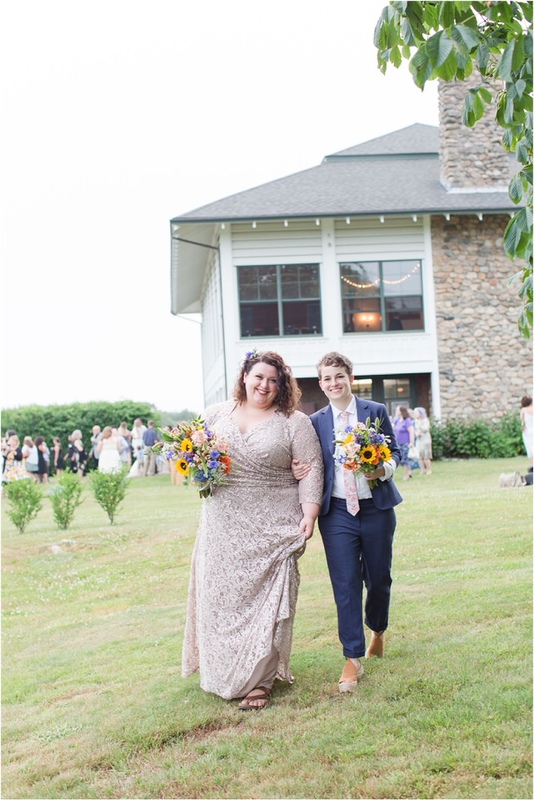 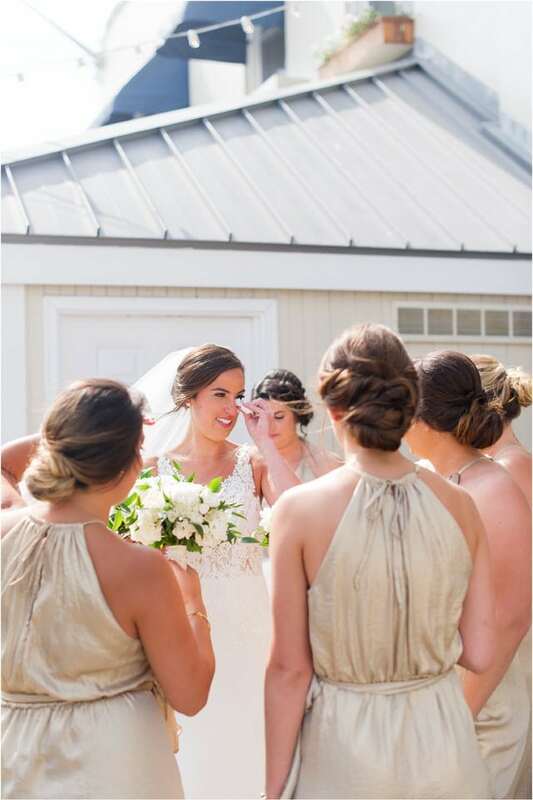 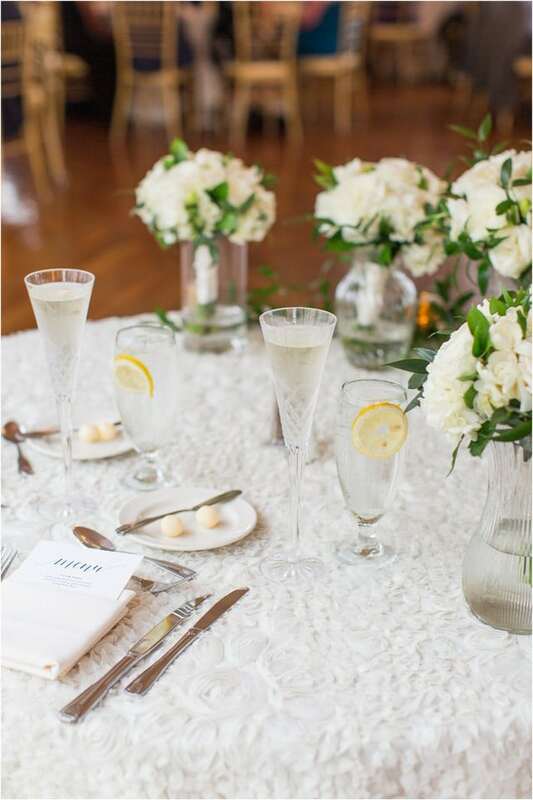 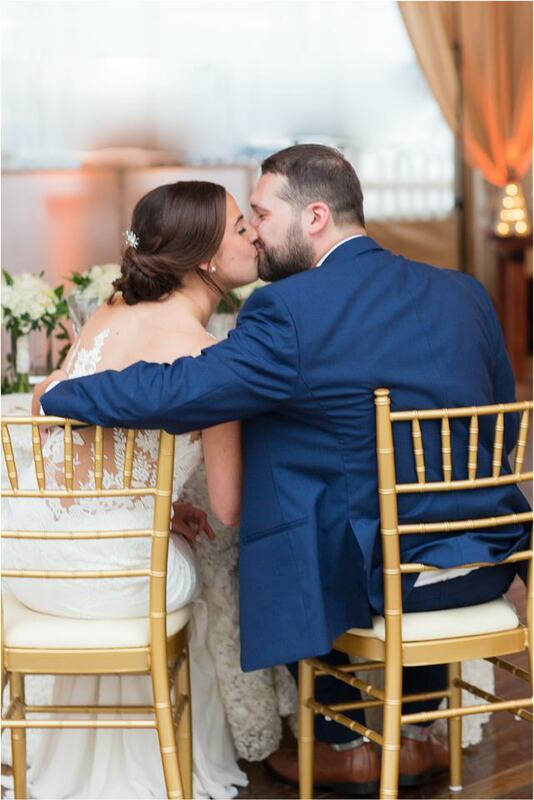 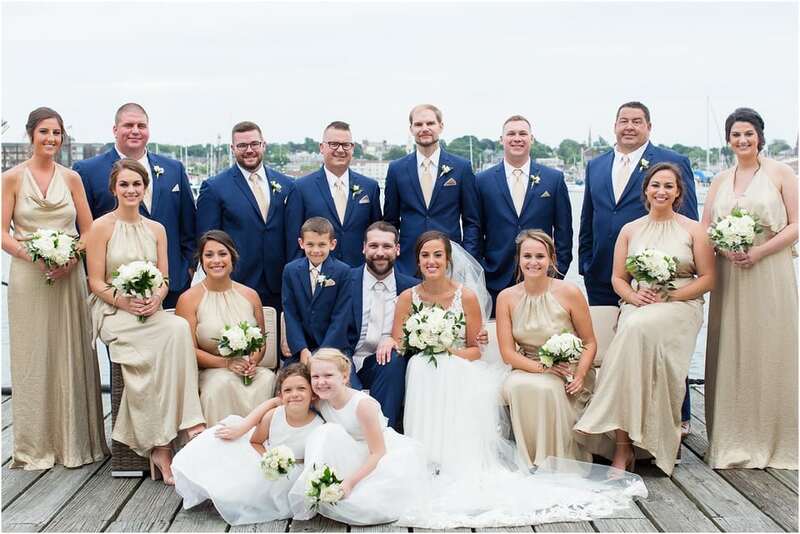 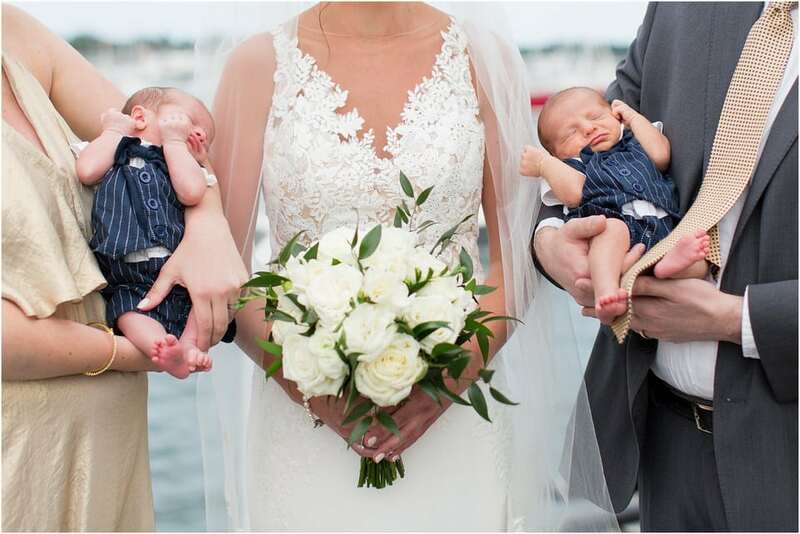 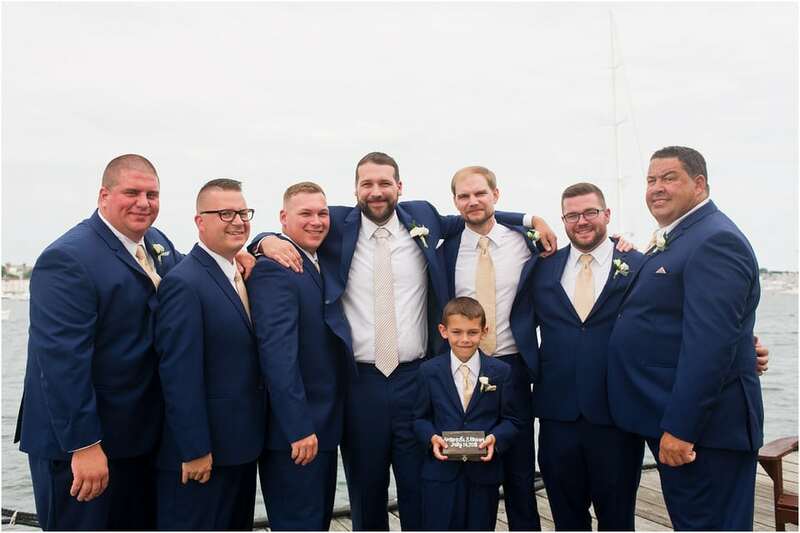 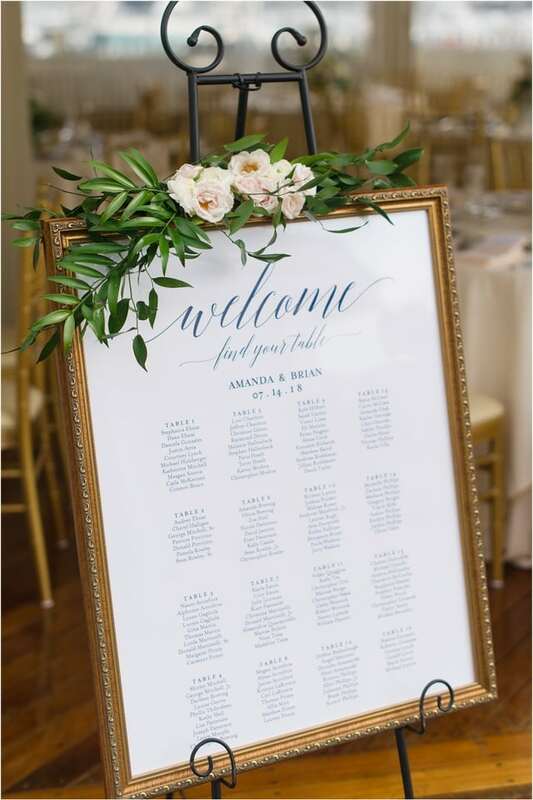 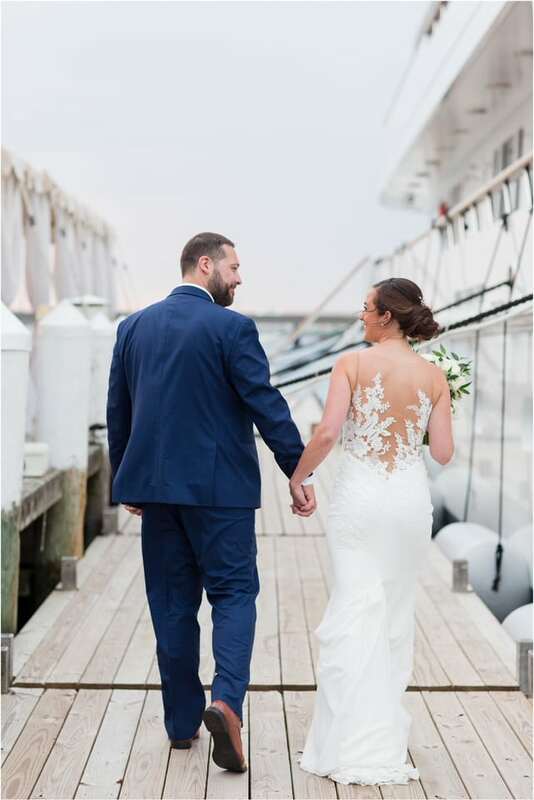 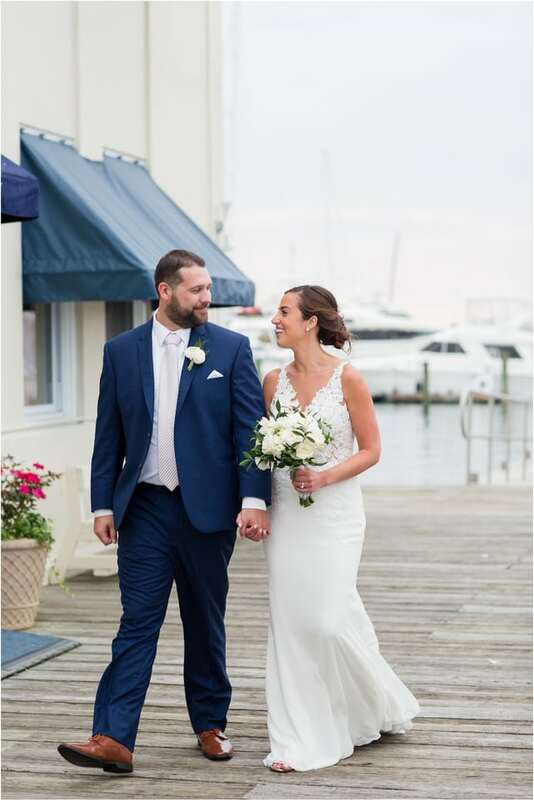 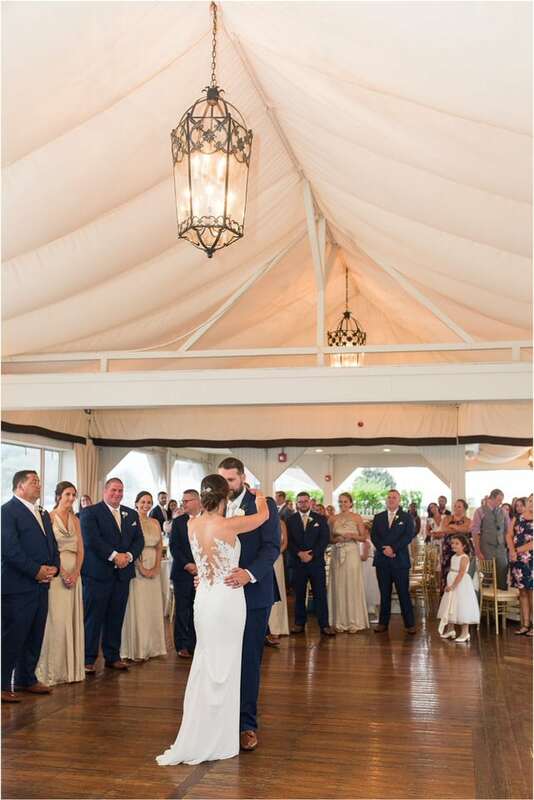 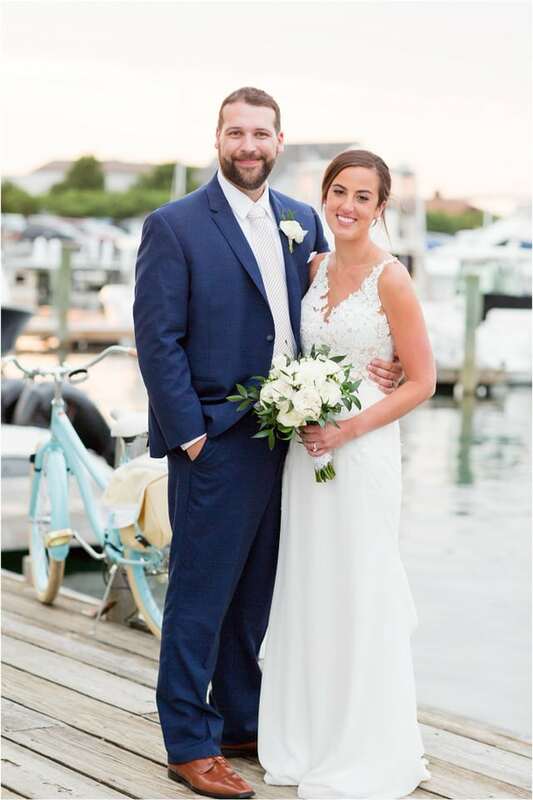 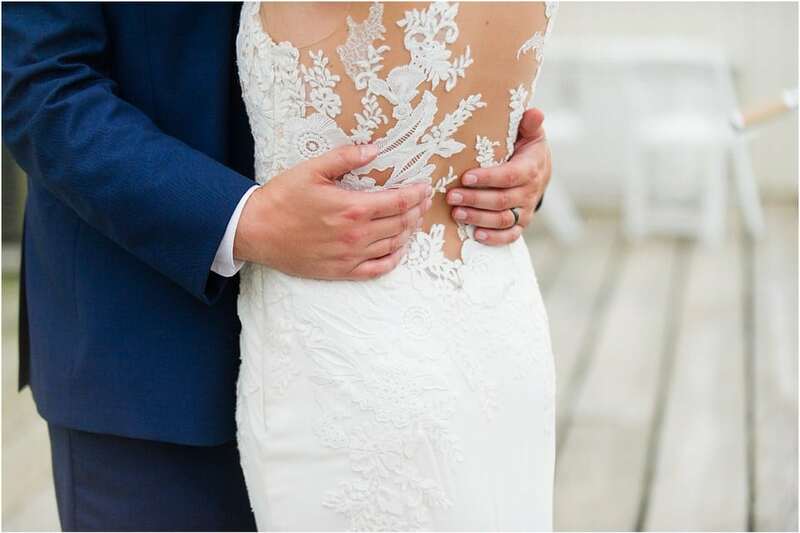 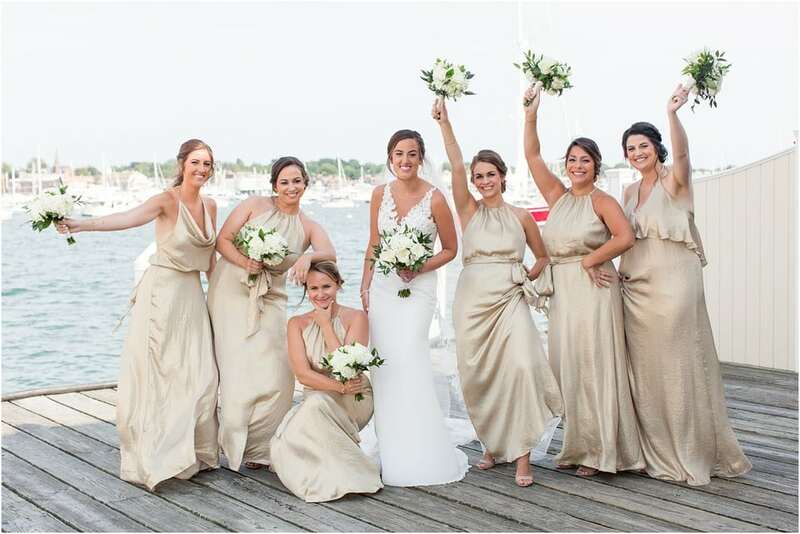 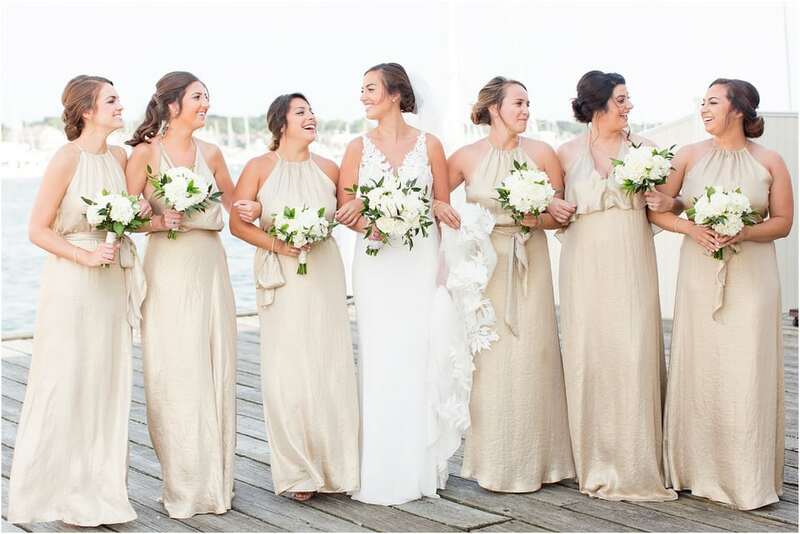 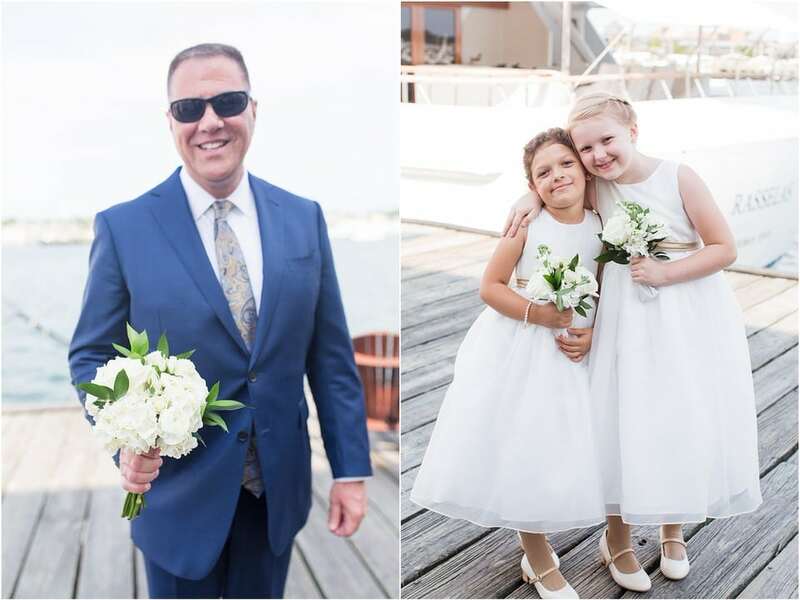 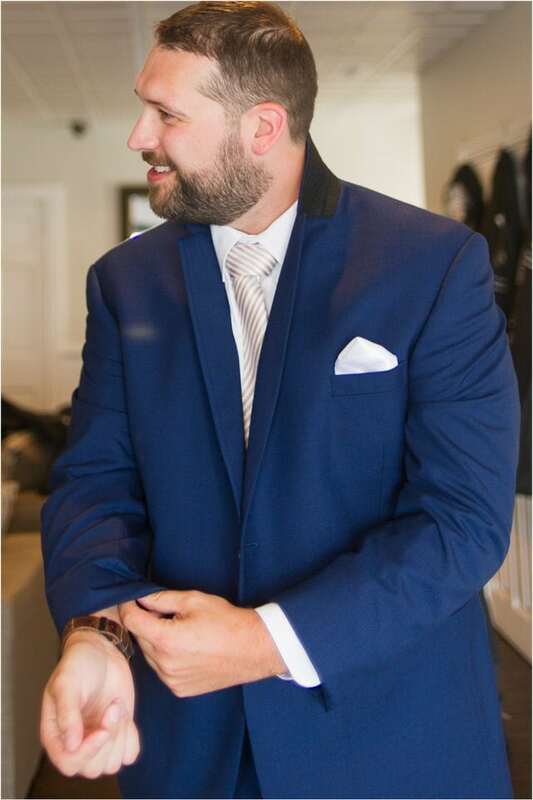 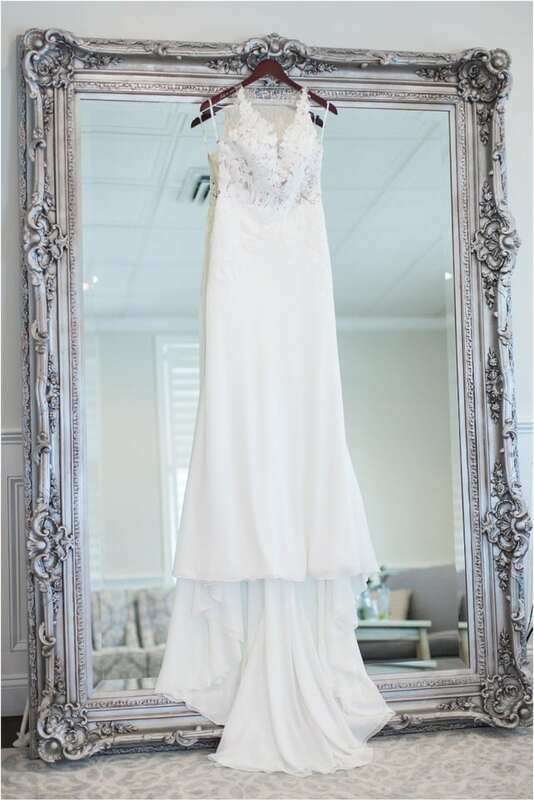 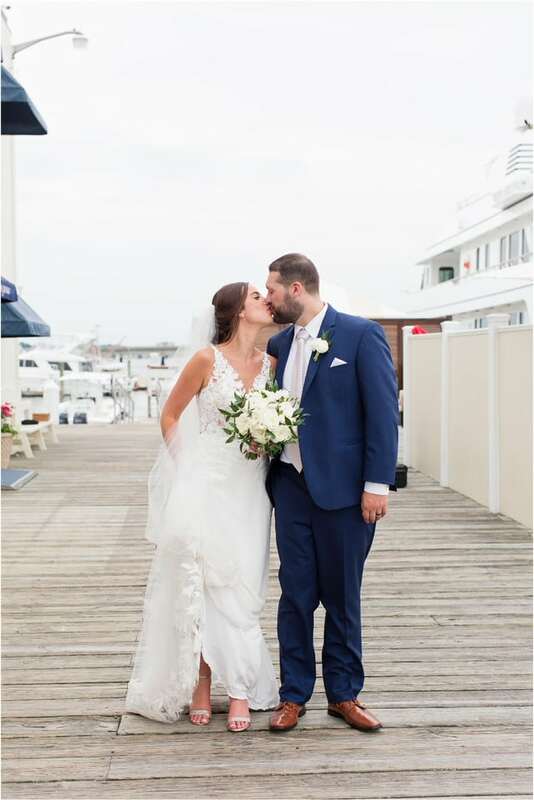 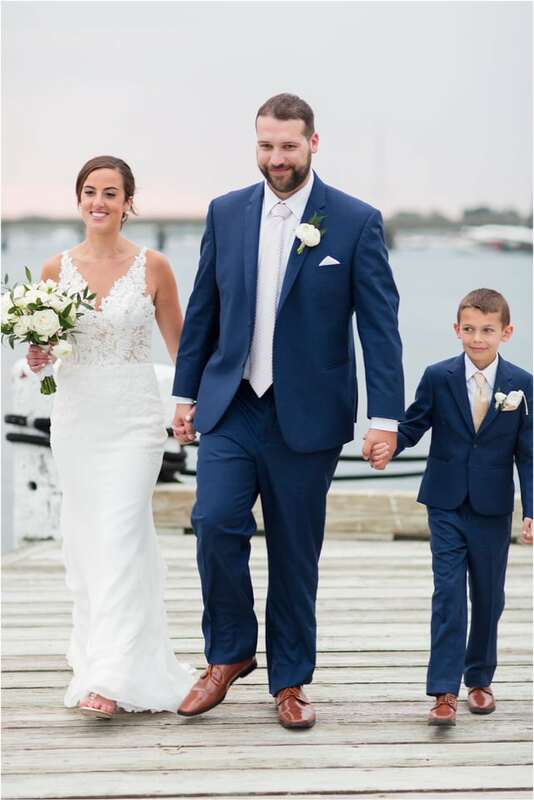 Brian and Amanda were married on July 14th, with a ceremony and reception at the Regatta Place in Newport, RI. 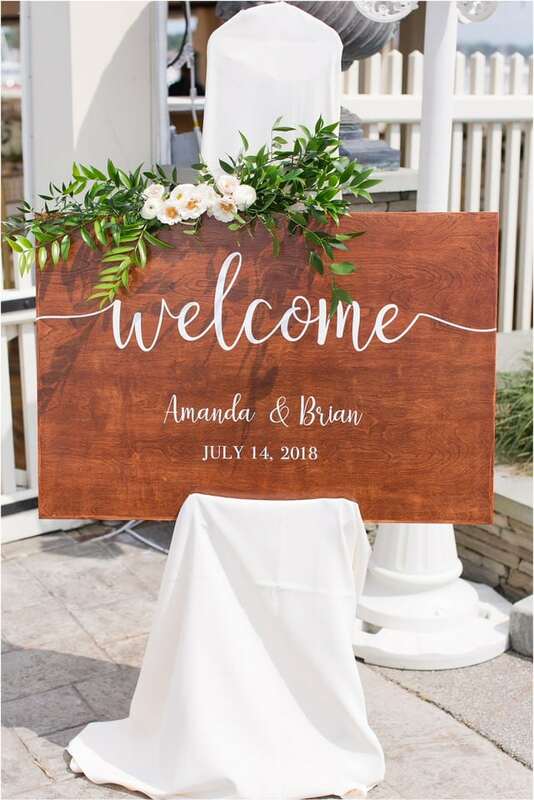 Brian and Amanda were coworkers who had yet to meet. 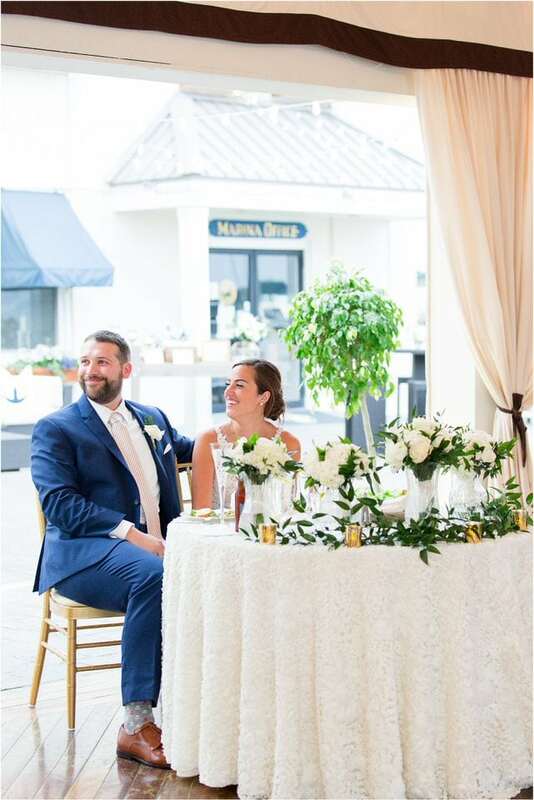 Brian’s boss was playing matchmaker and set up a happy hour with Amanda, Brian and a few coworkers. 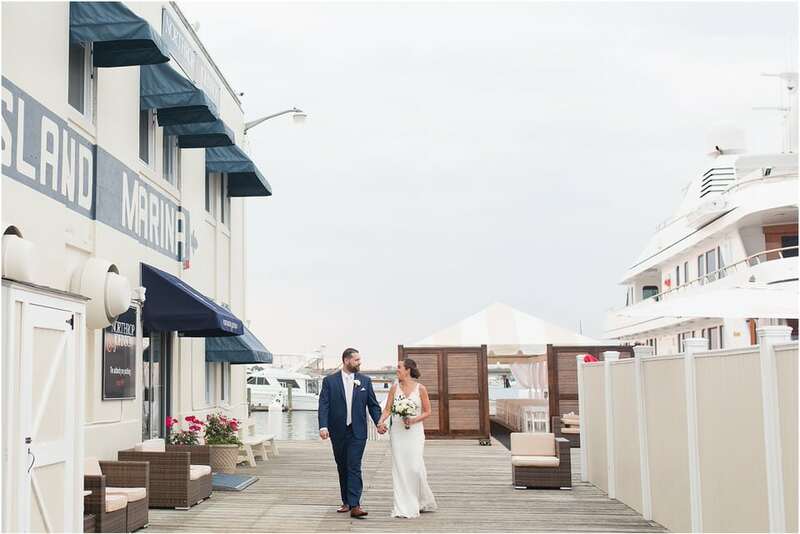 From the couple – The night started just like any happy hour, a couple pitchers of beer at Sam the Clam’s (a very swanky dive bar). 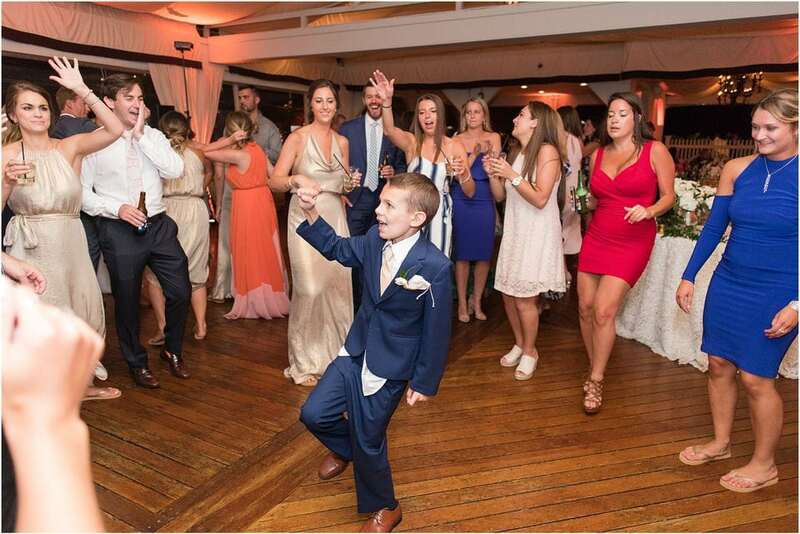 Everyone took turns at karaoke, when Brian got up he rapped the entire Humpty Dance song, not once looking at the monitor. 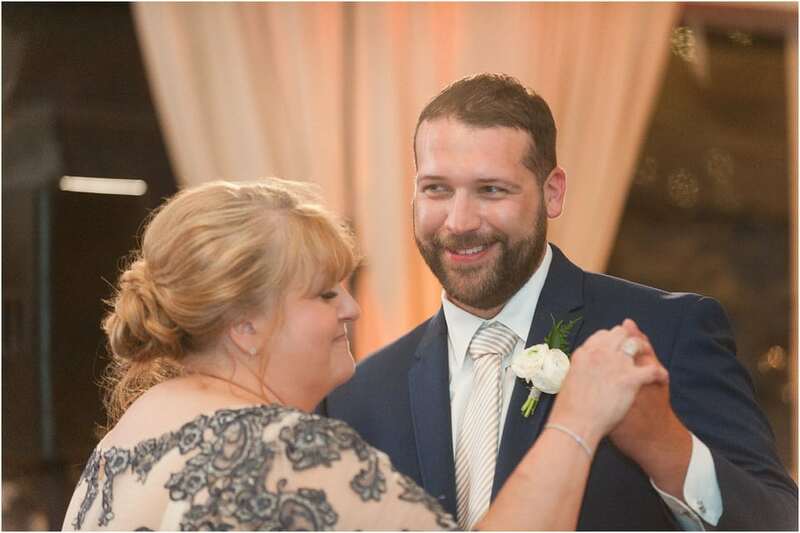 Amanda having never even heard the song congratulated him on his very proud self. 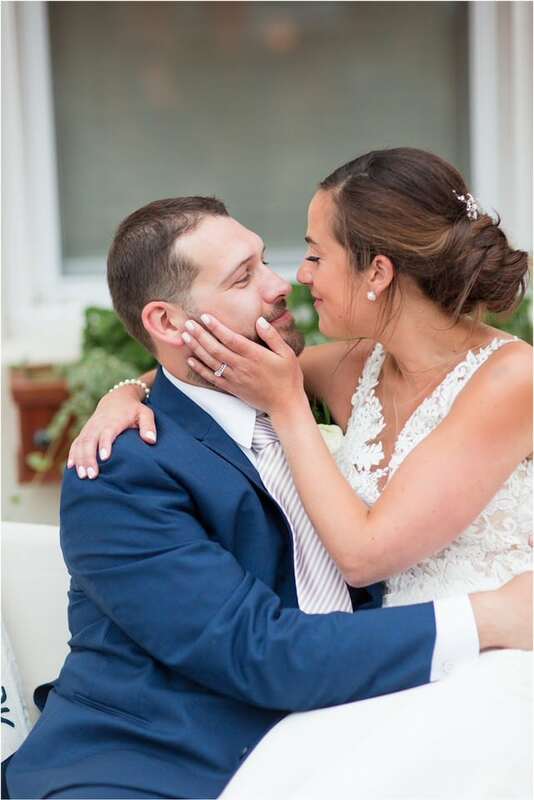 Before the night ended, Brian told Amanda he was in love with her. 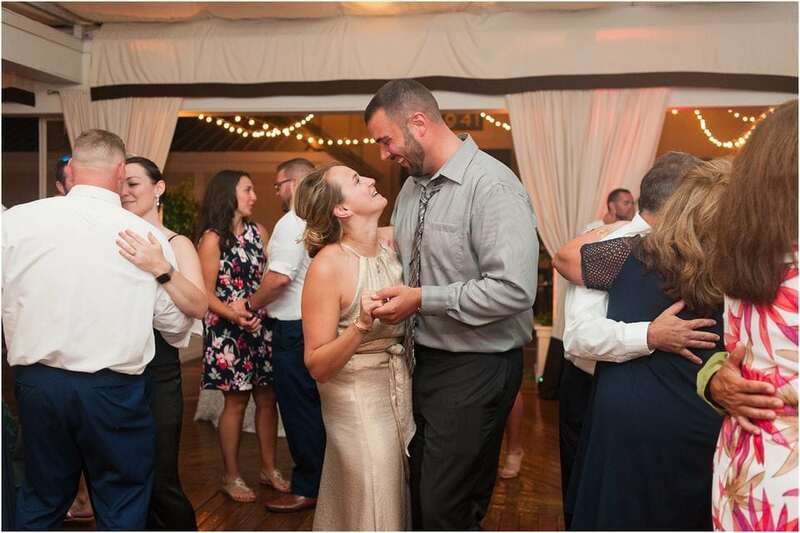 Having watched her from afar at work for over a year. 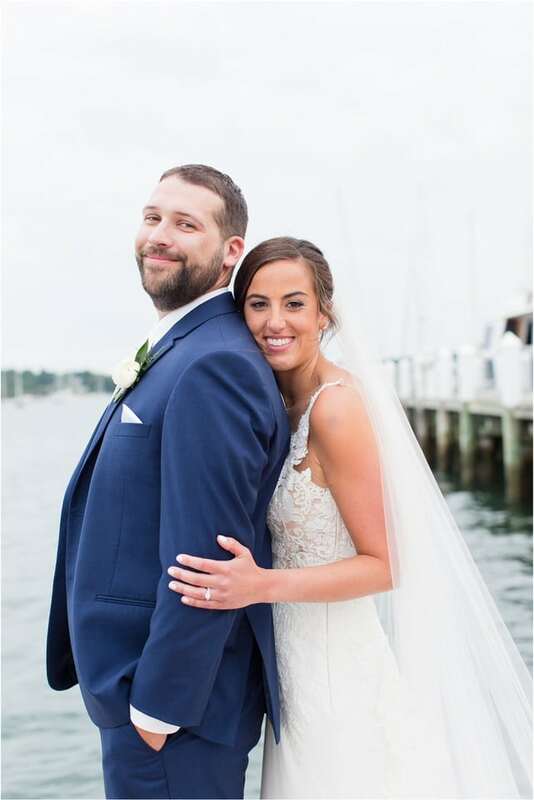 They attended happy hours and work events regularly for a while until months later when they finally took the plunge and went on a solo date. 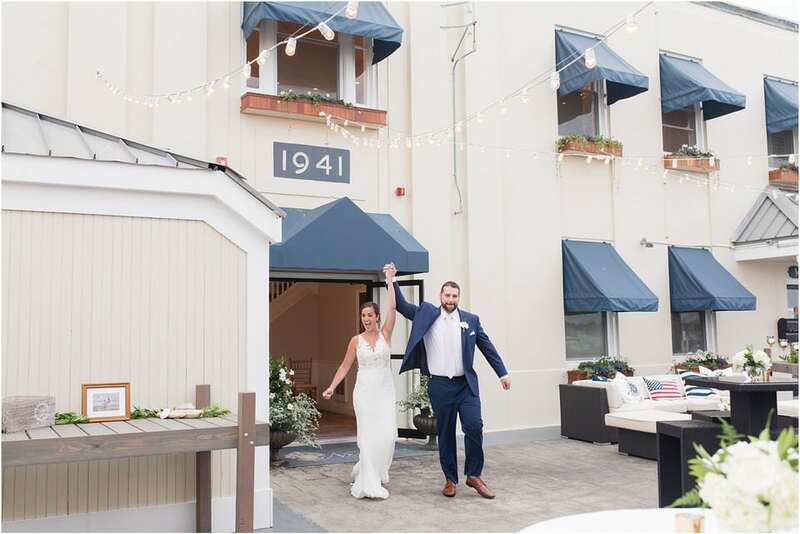 In May of last year, Brian and Amanda went to a paint night at The Malted Barley and painted Napa Tree Point in Watch Hill. 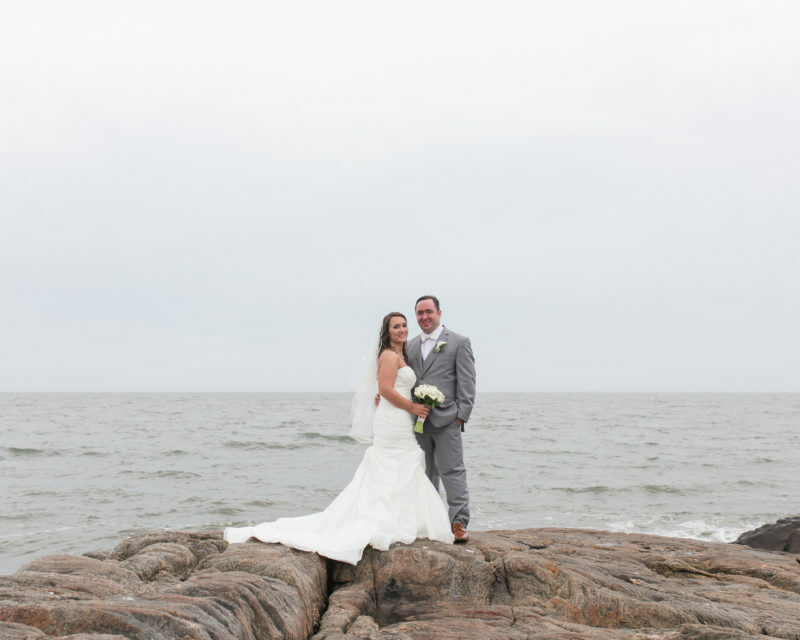 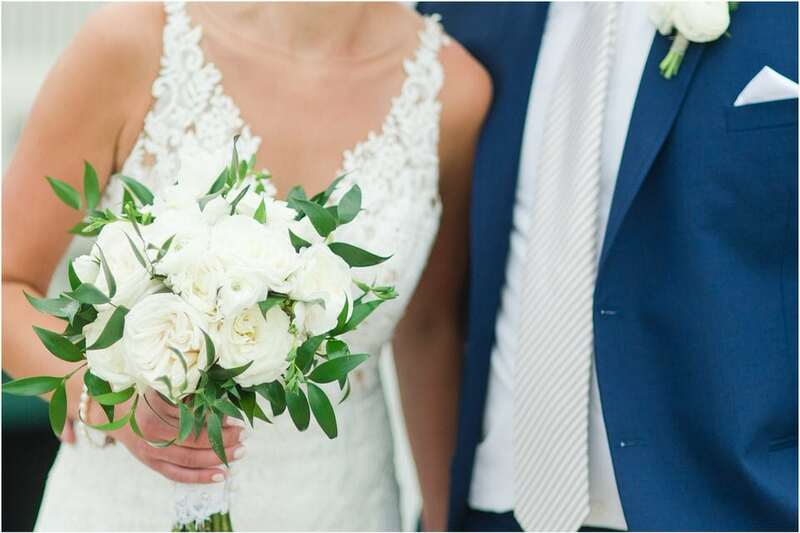 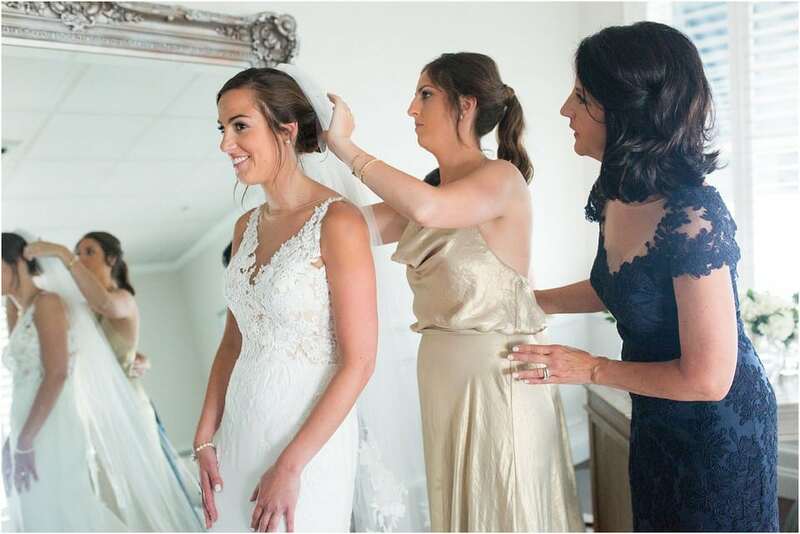 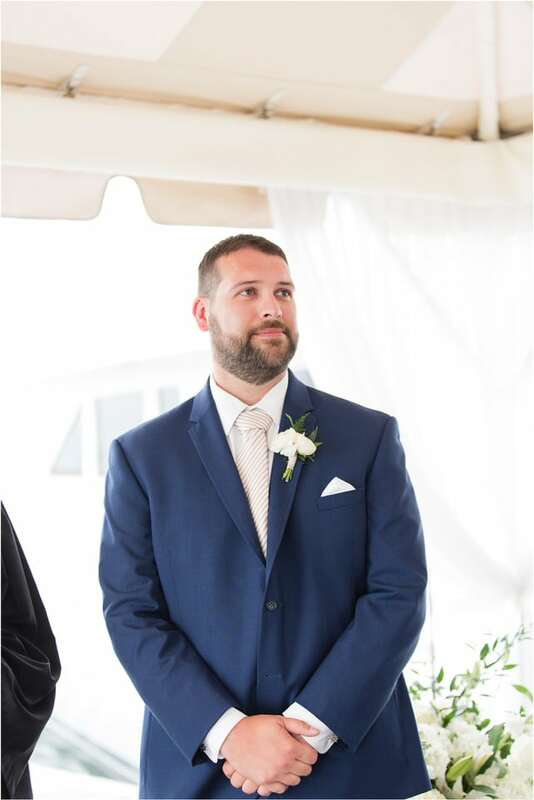 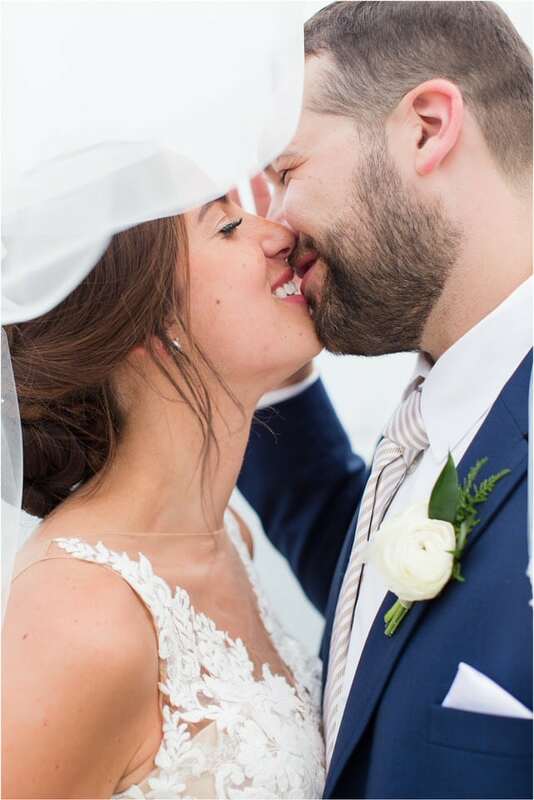 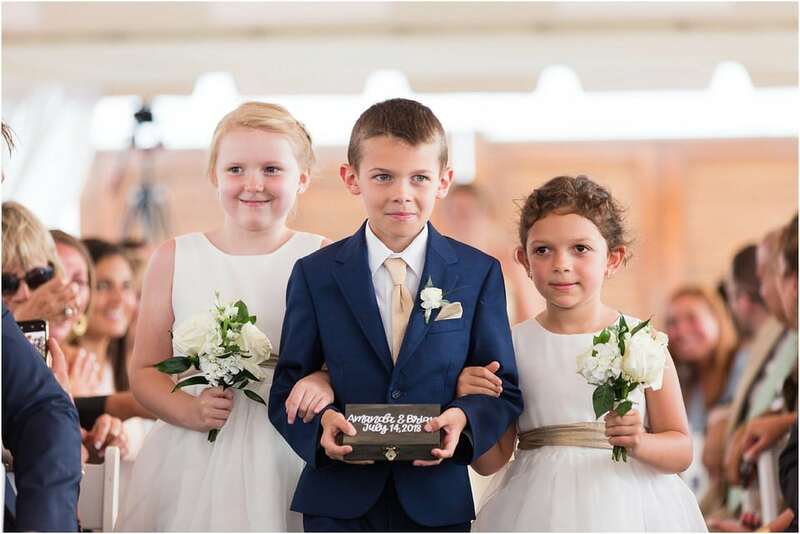 Brian and Amanda grew up in the area and have fond memories of visiting the gorgeous beaches of Watch Hill with friends and family. 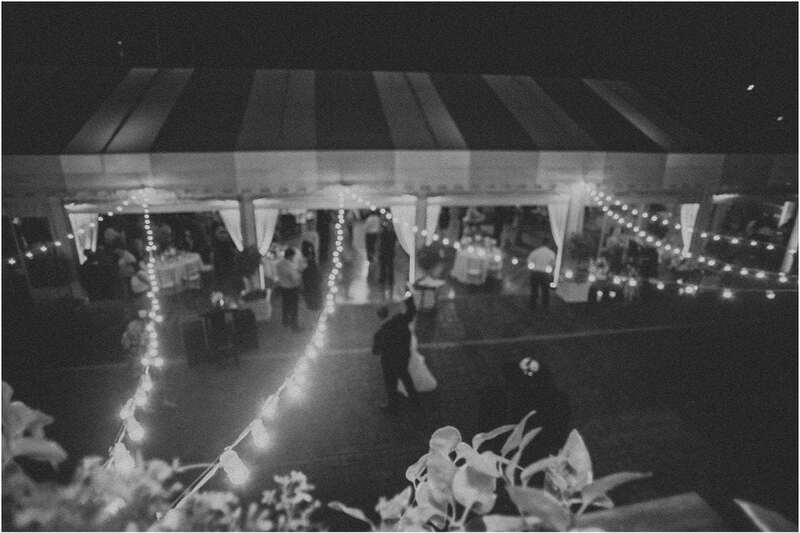 That summer they made it a point to visit Napa Tree Point frequently and it turned into their “spot”. 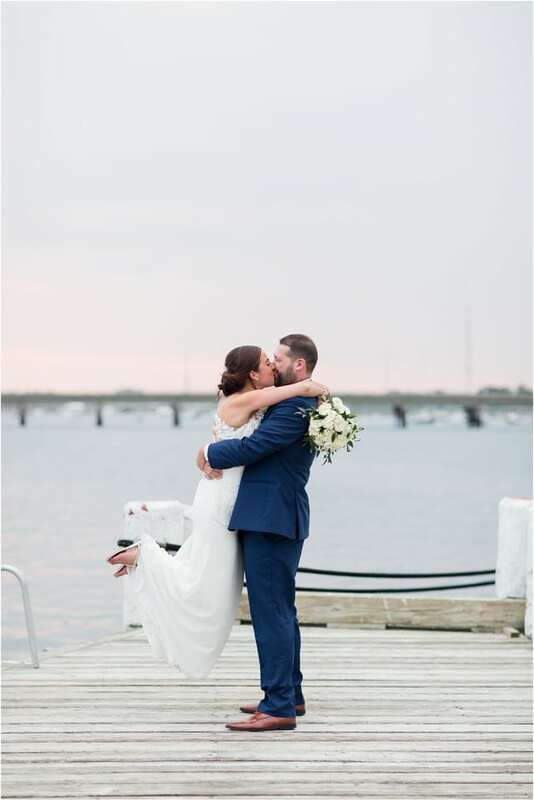 I was lucky enough to be able to document their proposal at that same beach at the end of the summer. 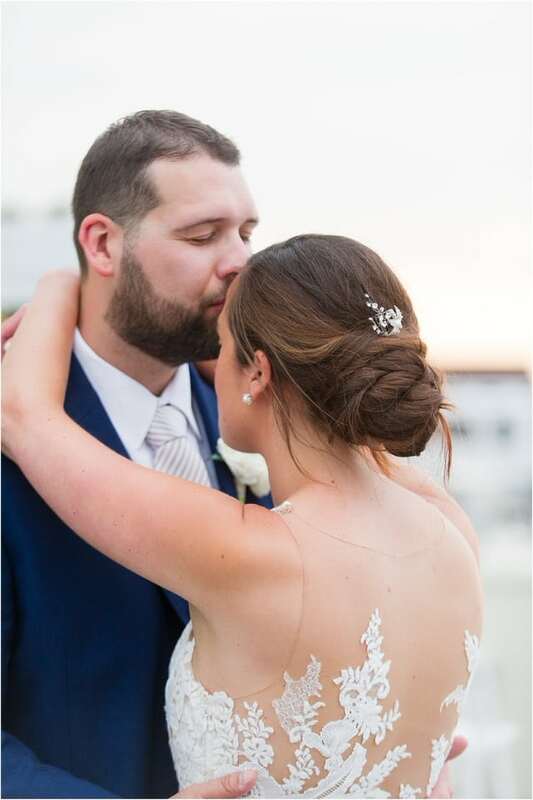 Brian had planned a romantic sunset proposal with will you marry me written in the sand. 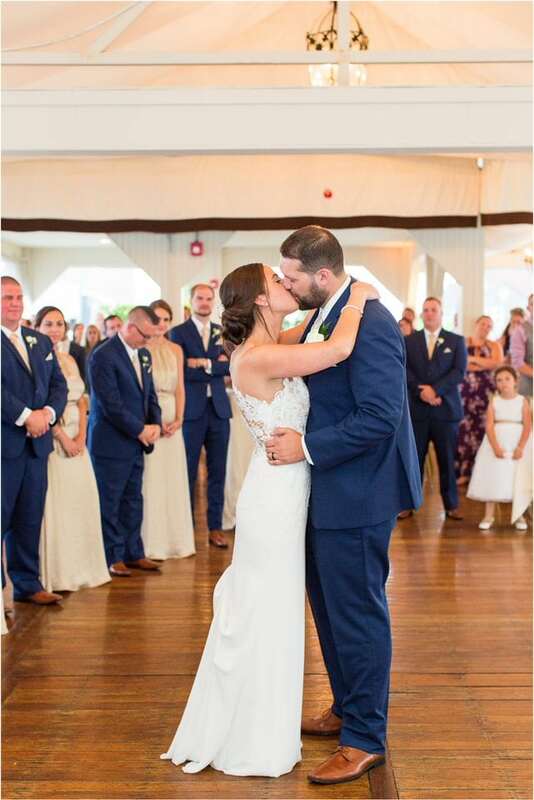 ( All the heart eyes!) 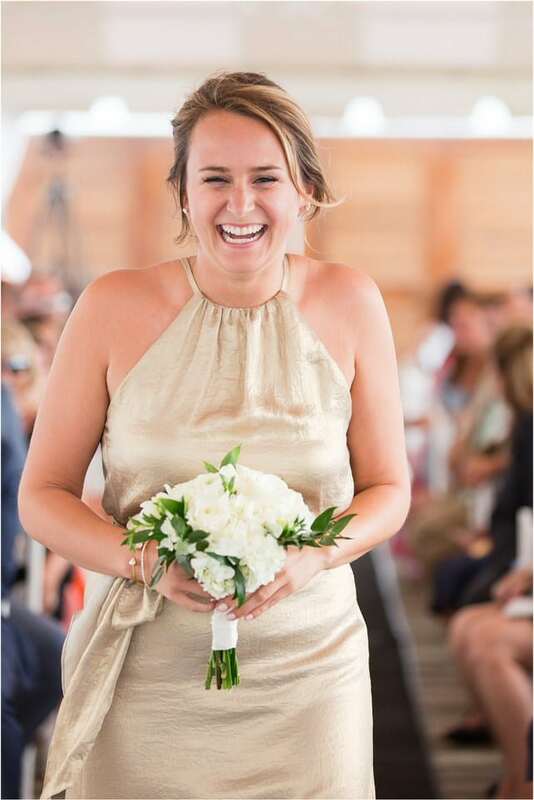 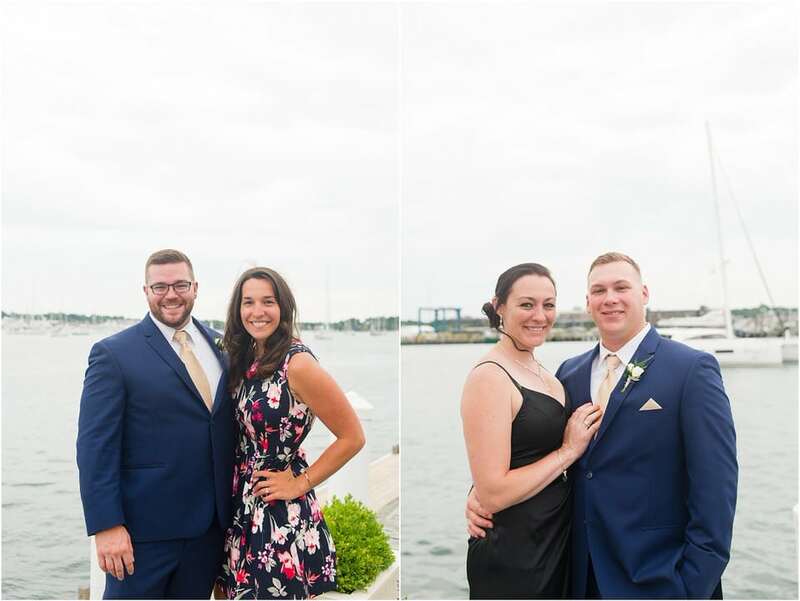 Of course Amanda said yes and then celebrated with friends and family who were waiting nearby at the Windjammer. 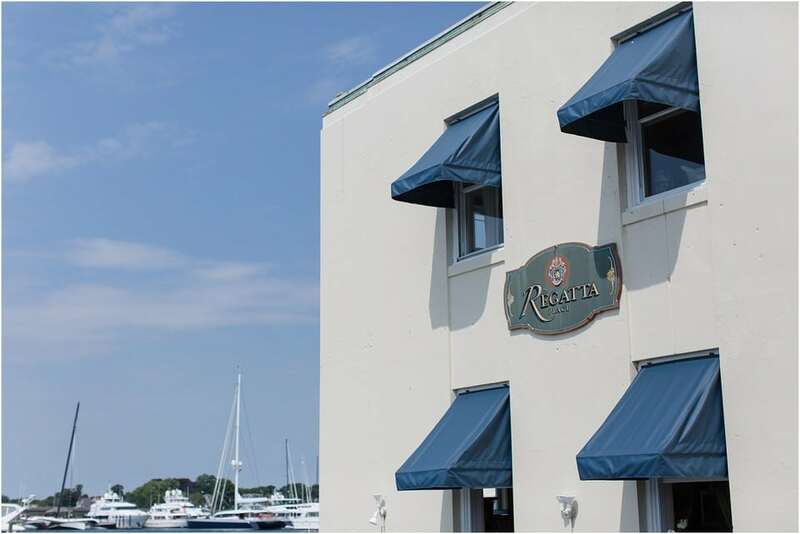 We arrived to Newport, RI on a cloudy but beautiful day and set up at Regatta Place. 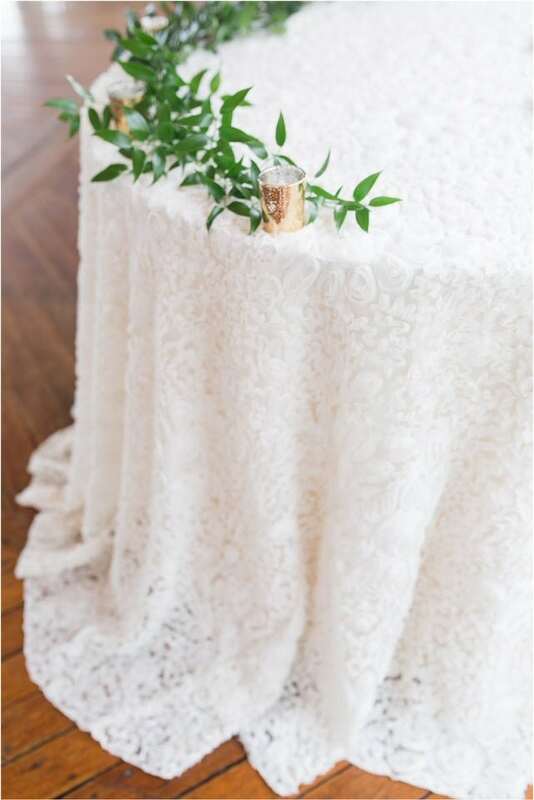 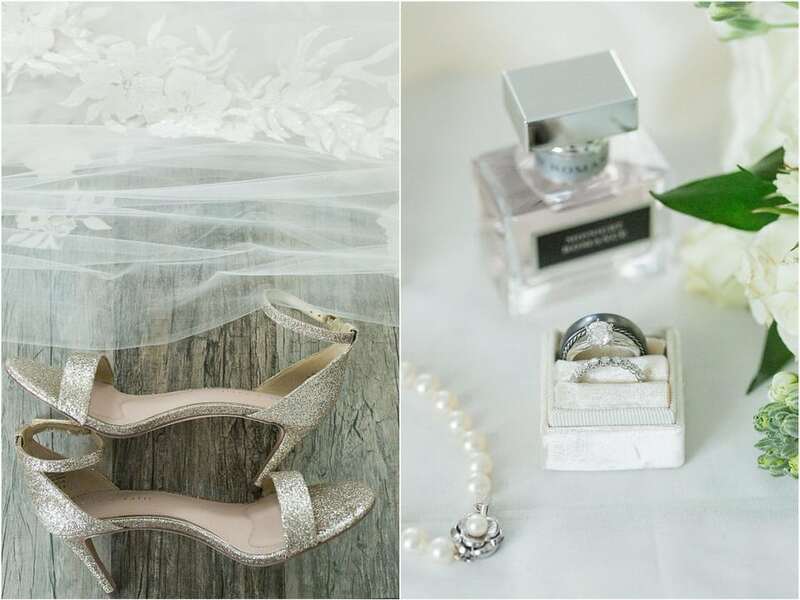 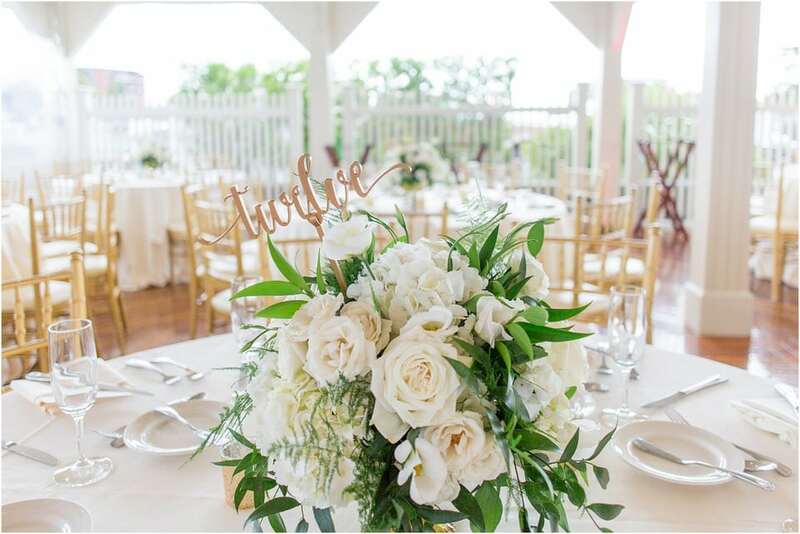 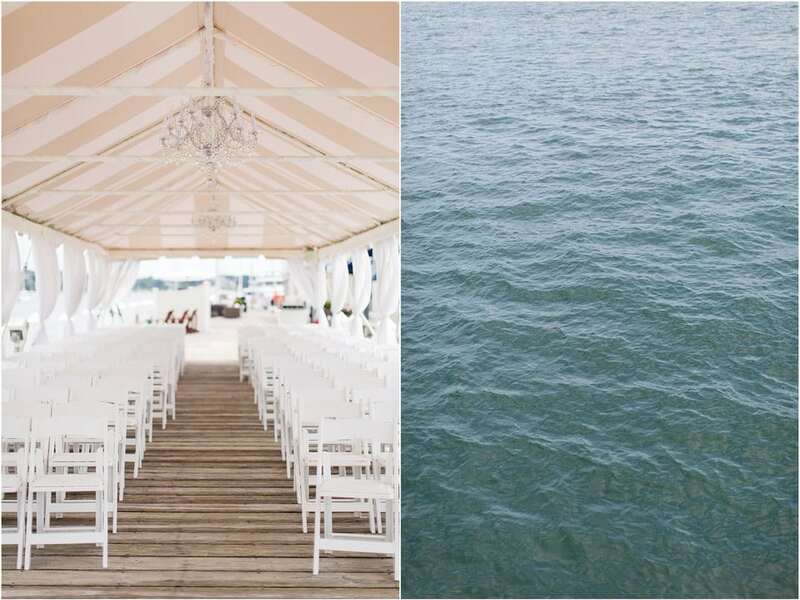 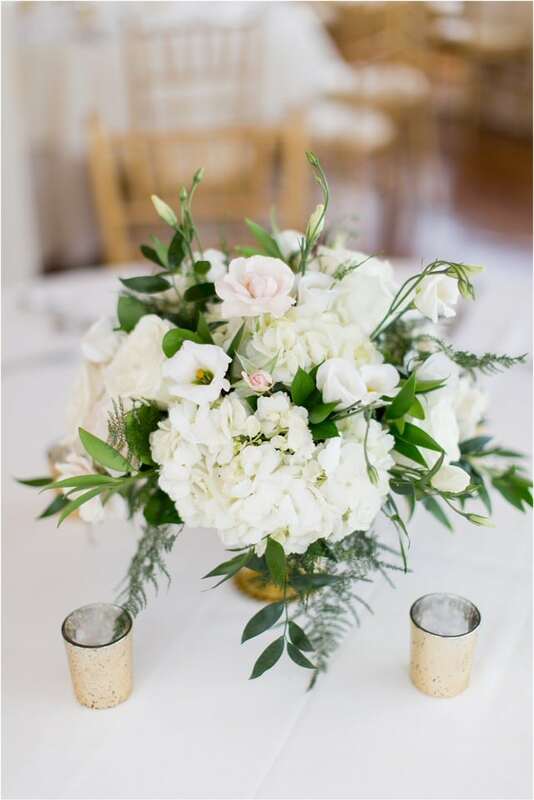 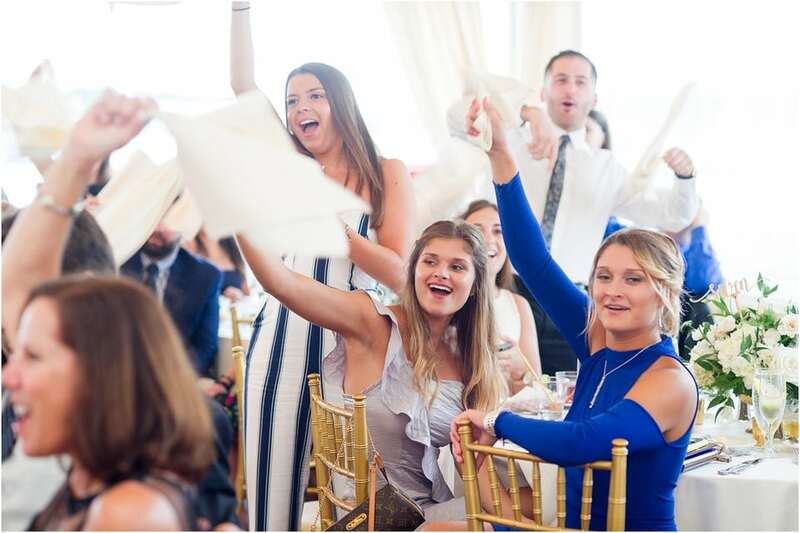 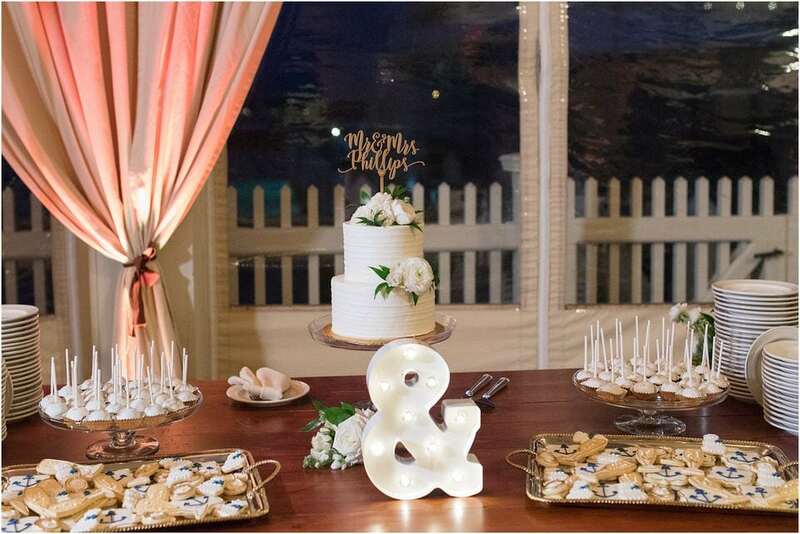 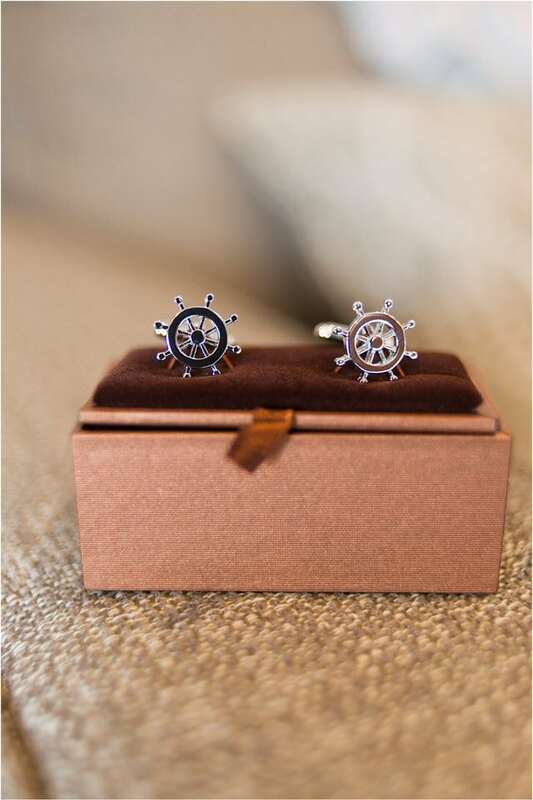 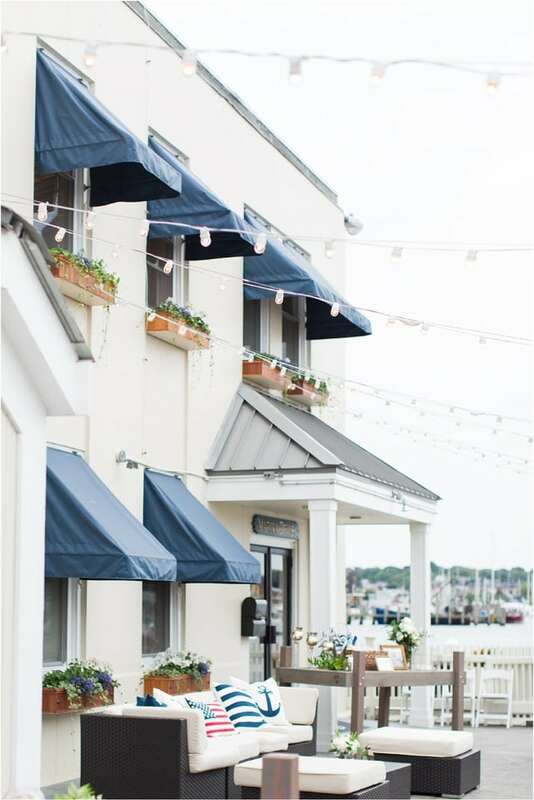 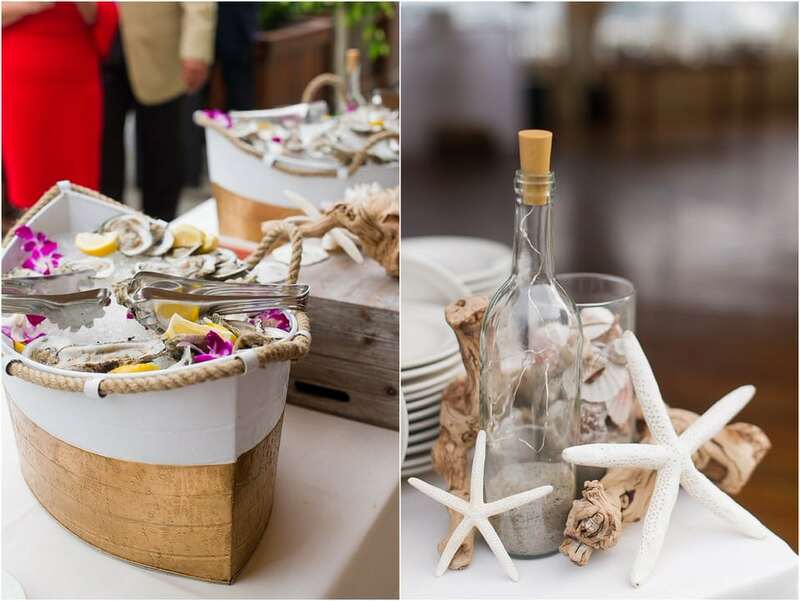 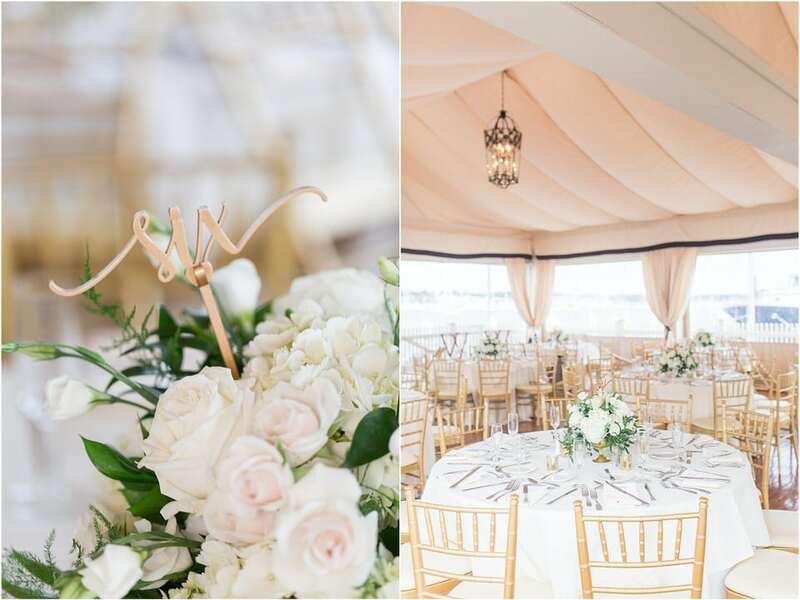 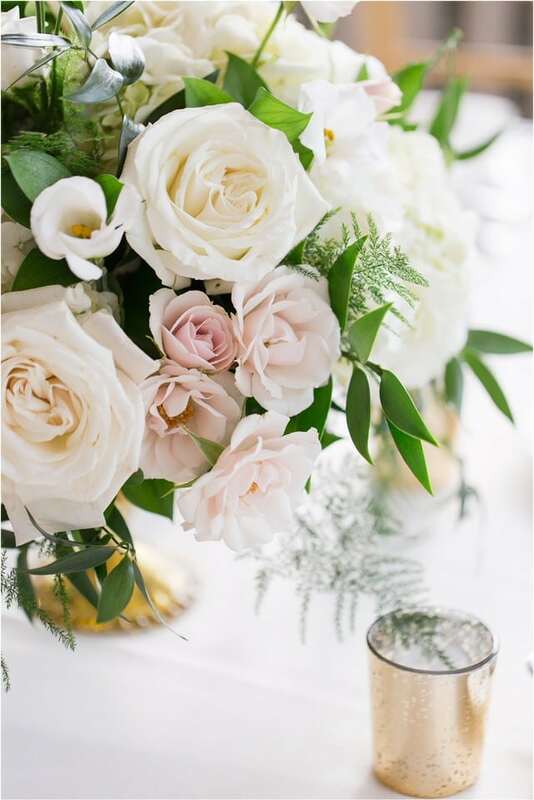 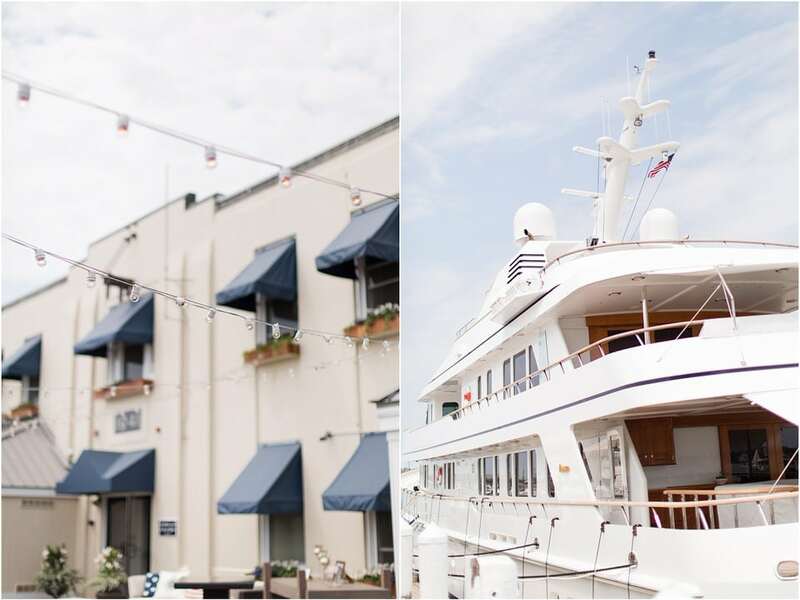 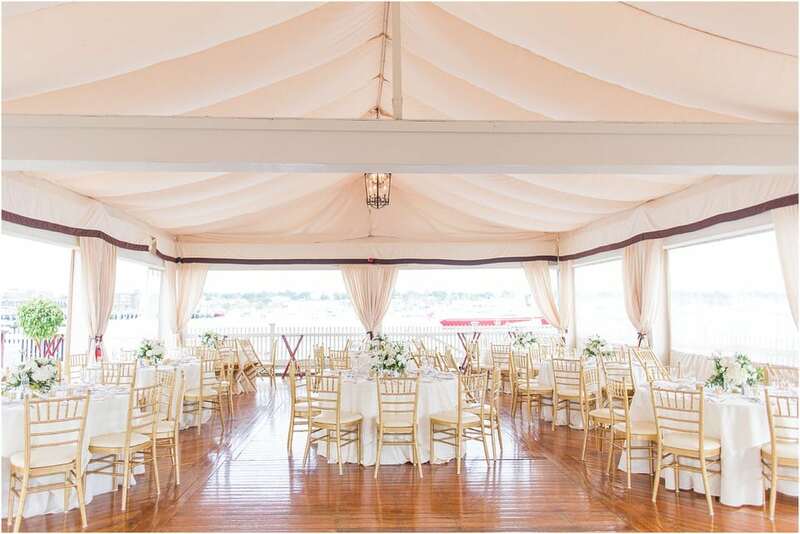 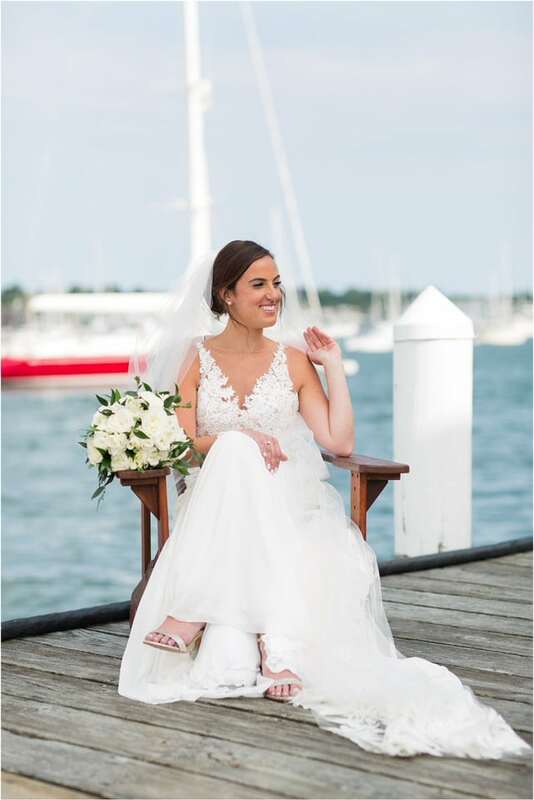 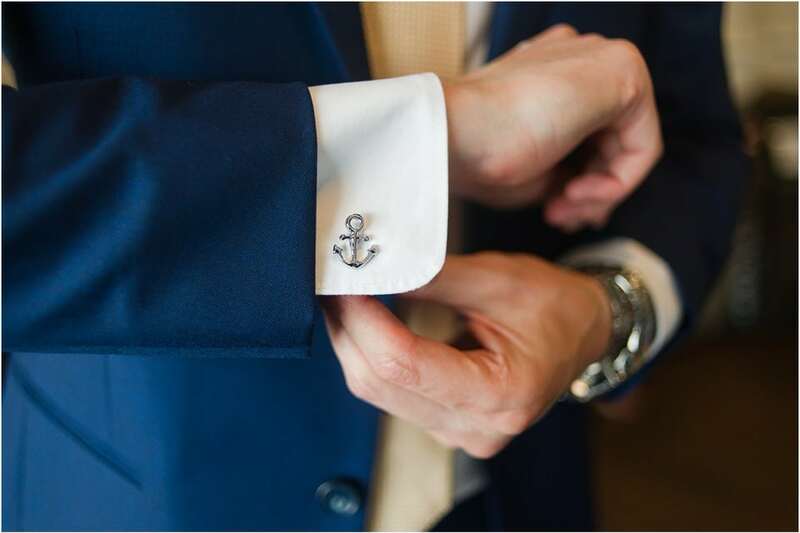 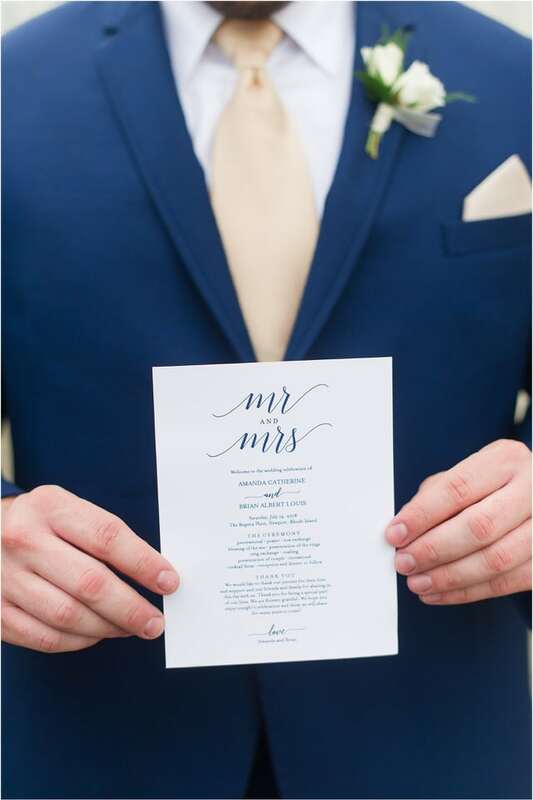 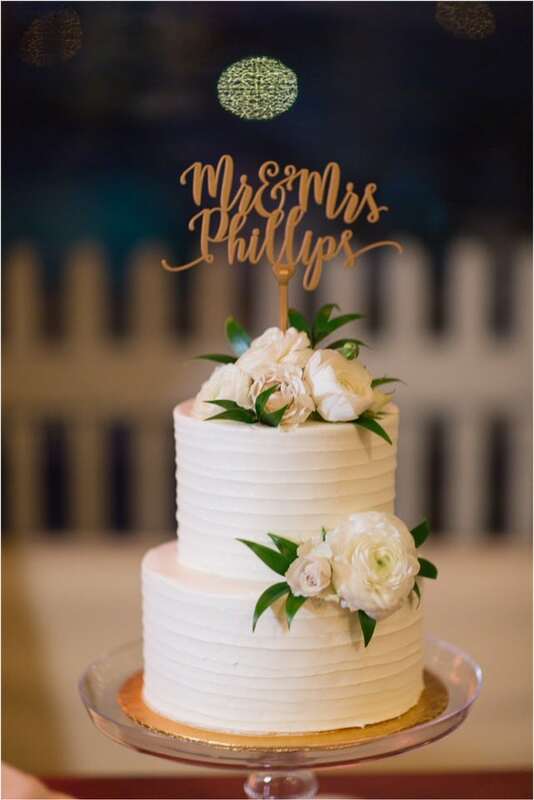 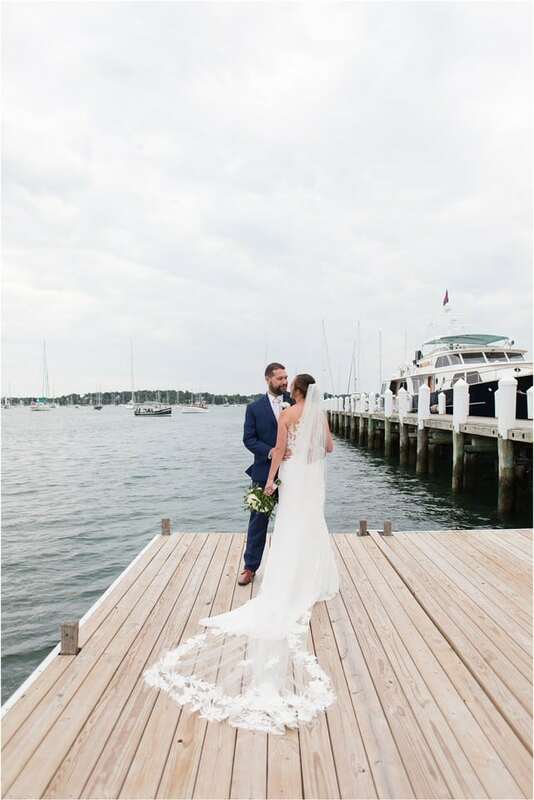 The venue was a top pick for the couple which is understandable – with almost 360 degree view of the water and sailboats smooth sailing by. 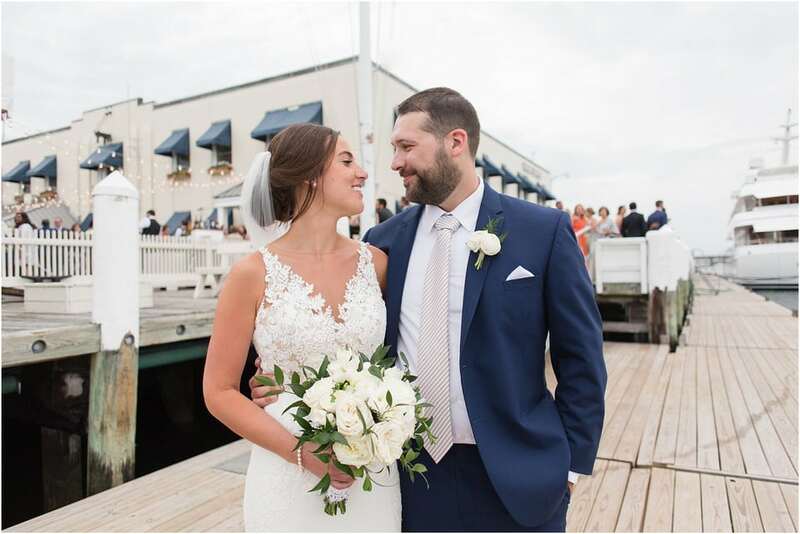 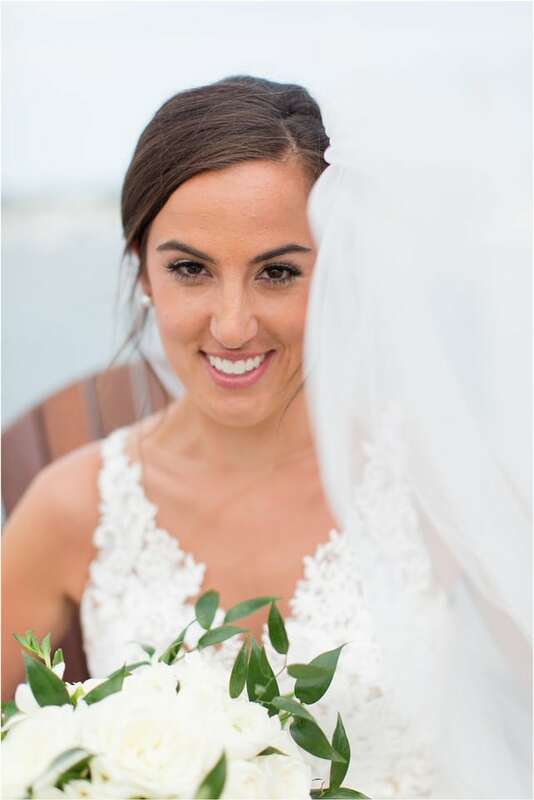 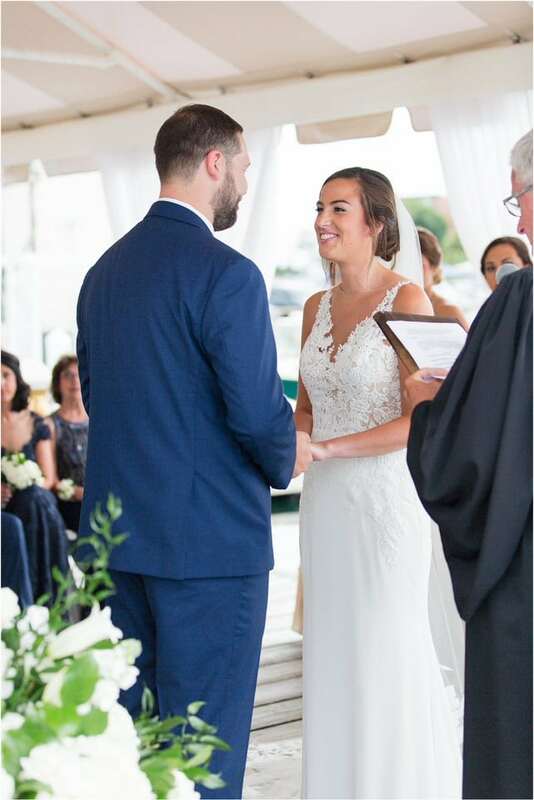 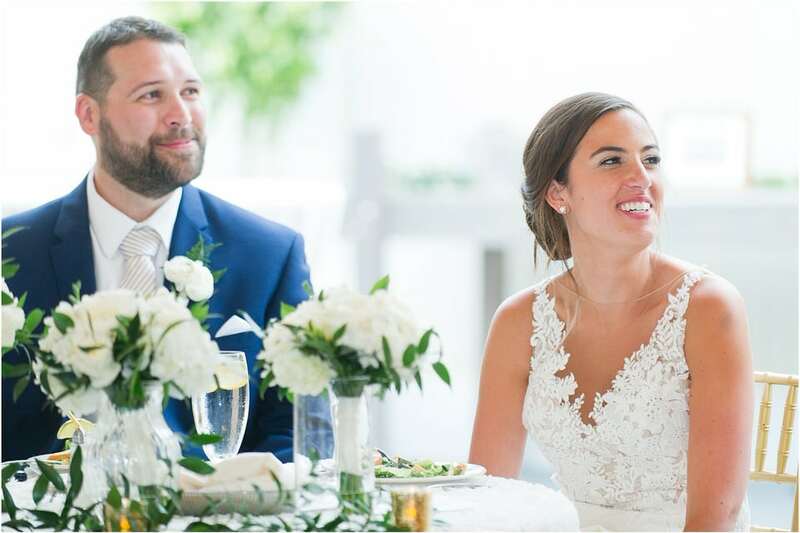 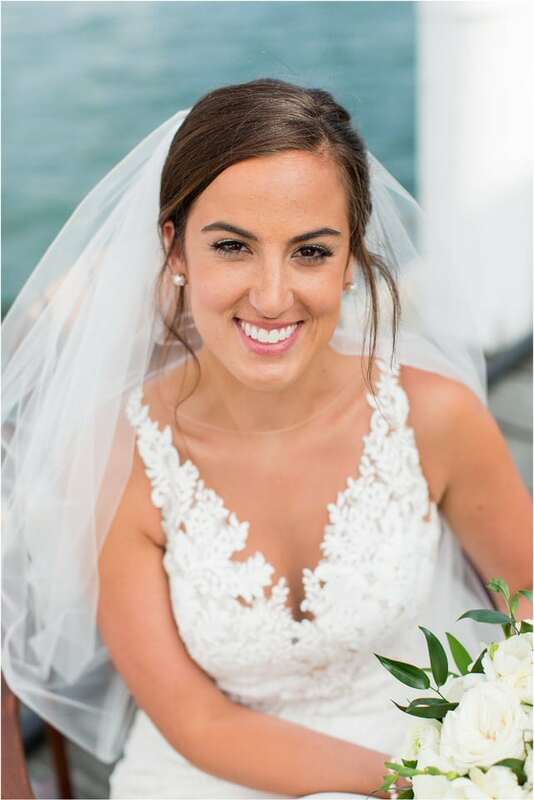 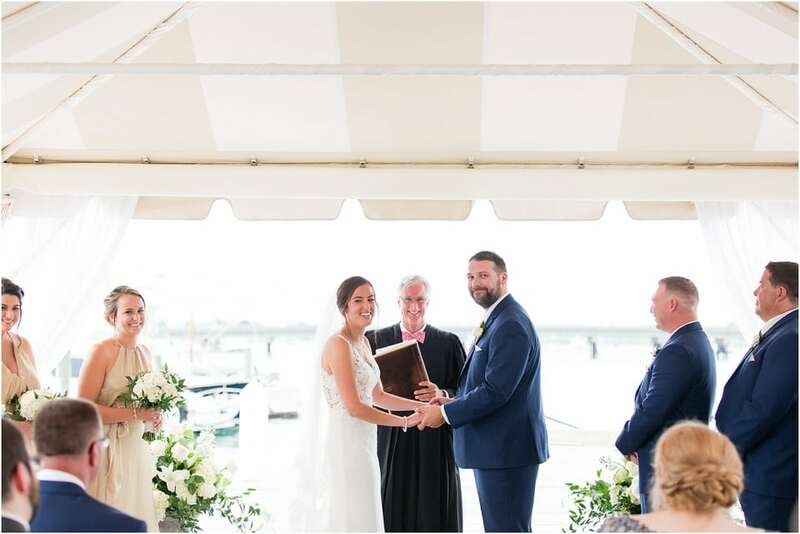 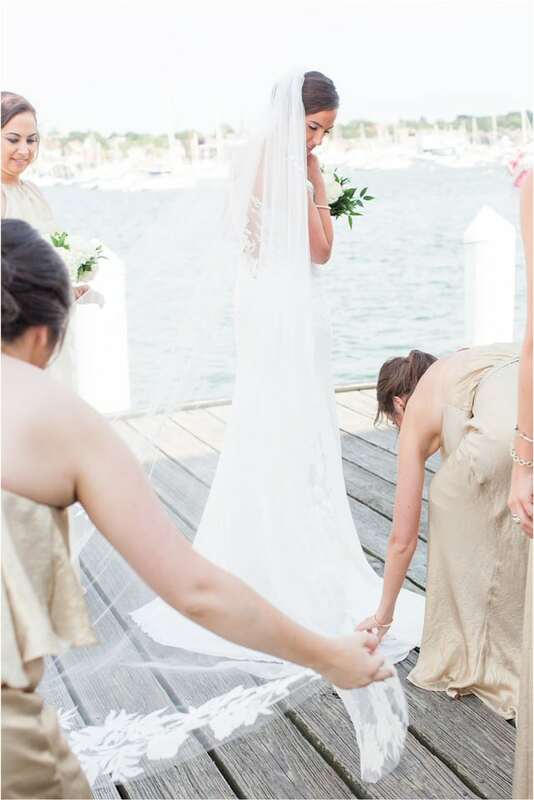 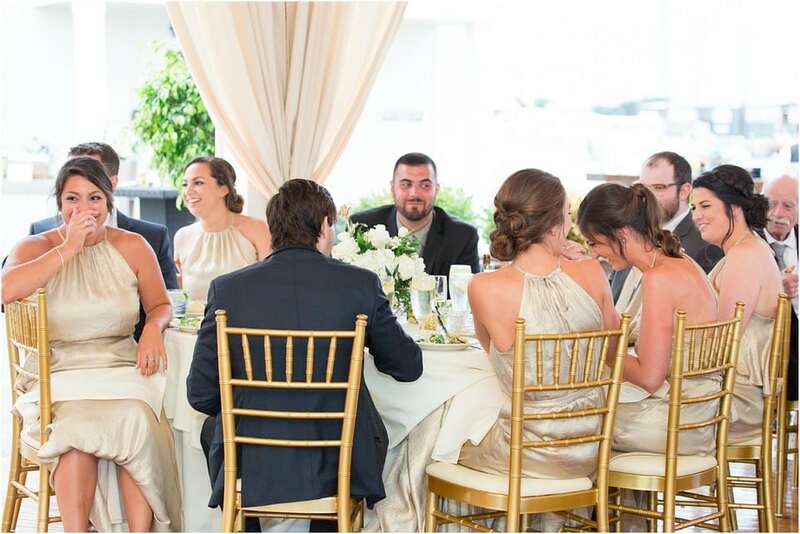 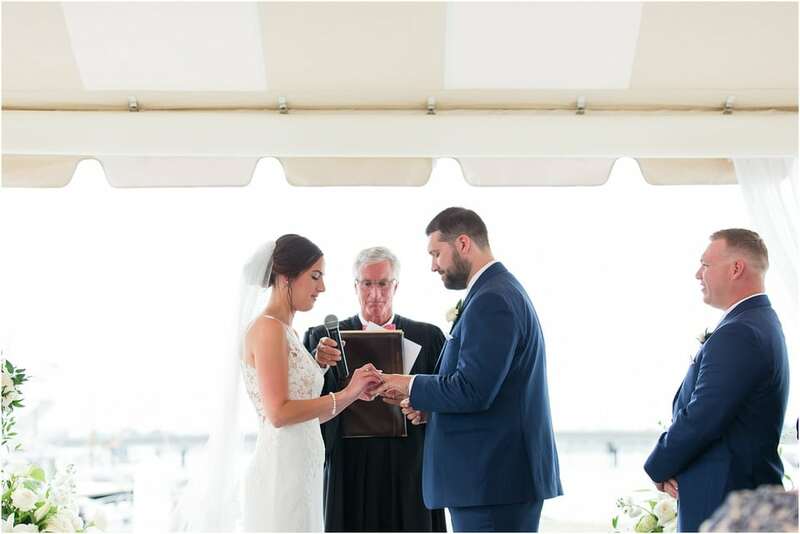 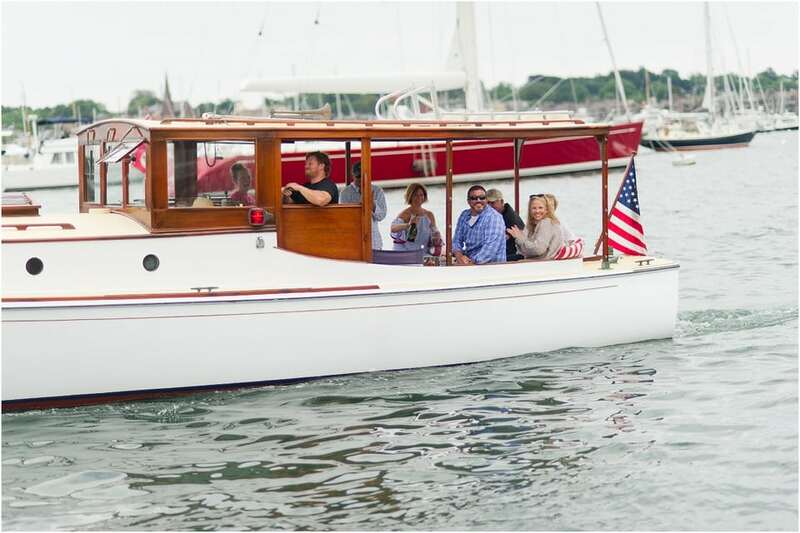 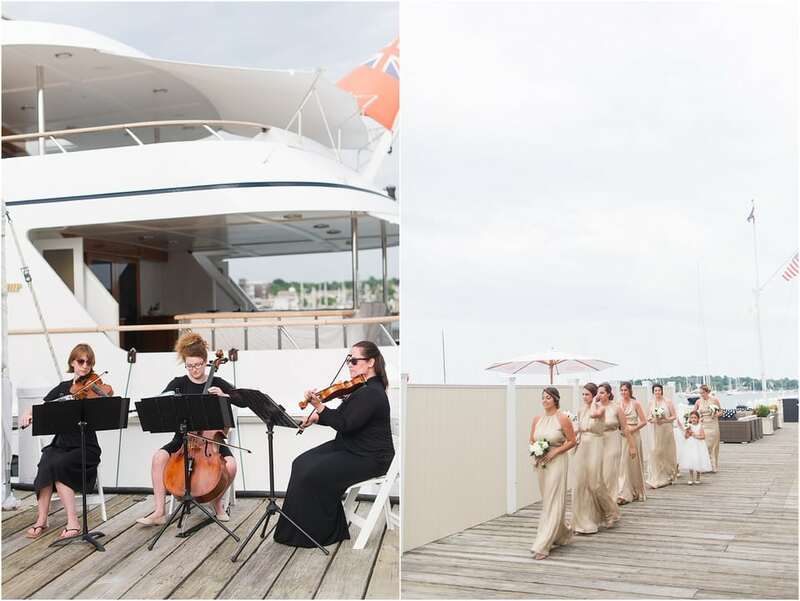 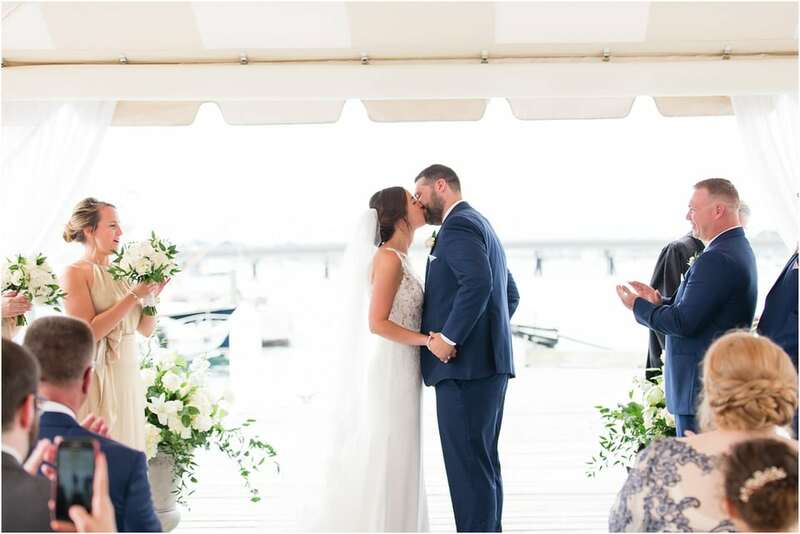 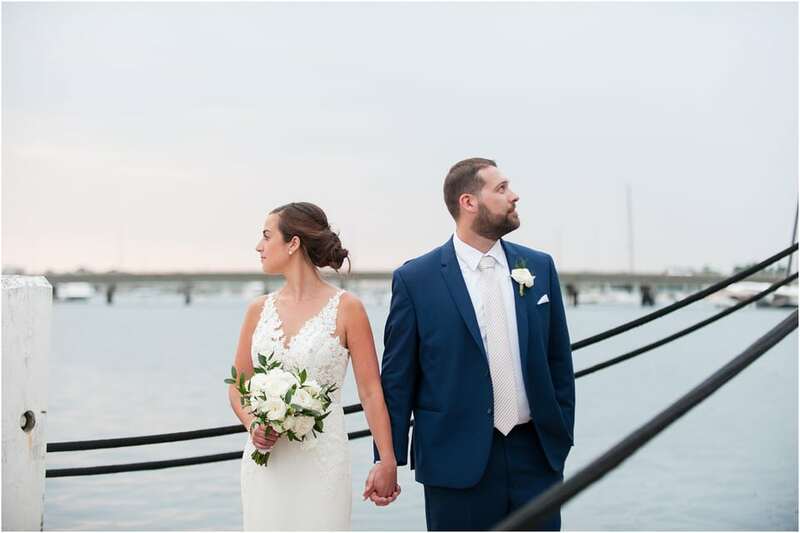 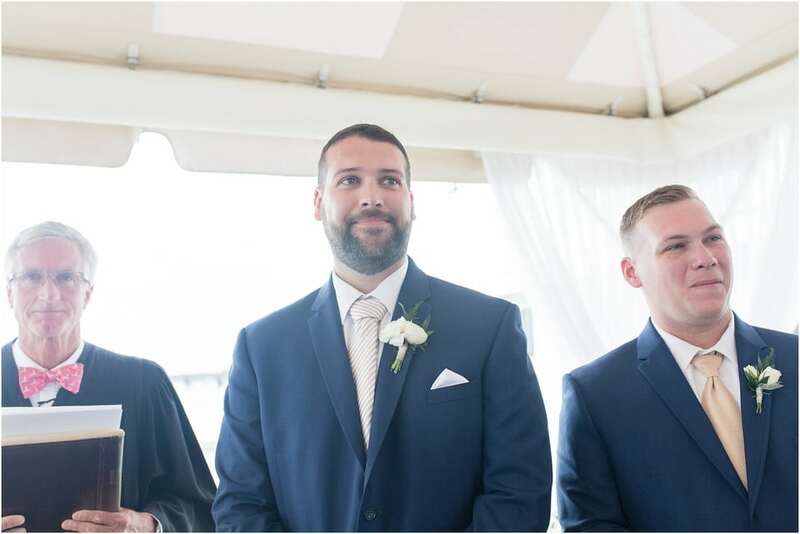 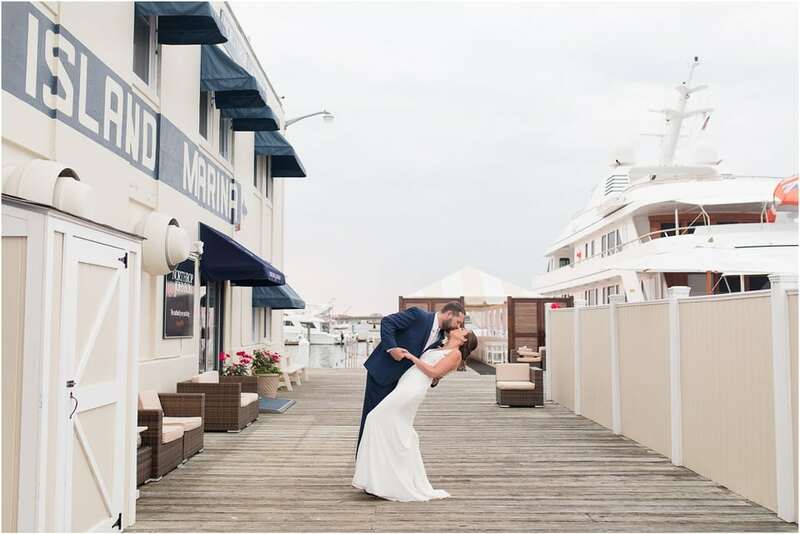 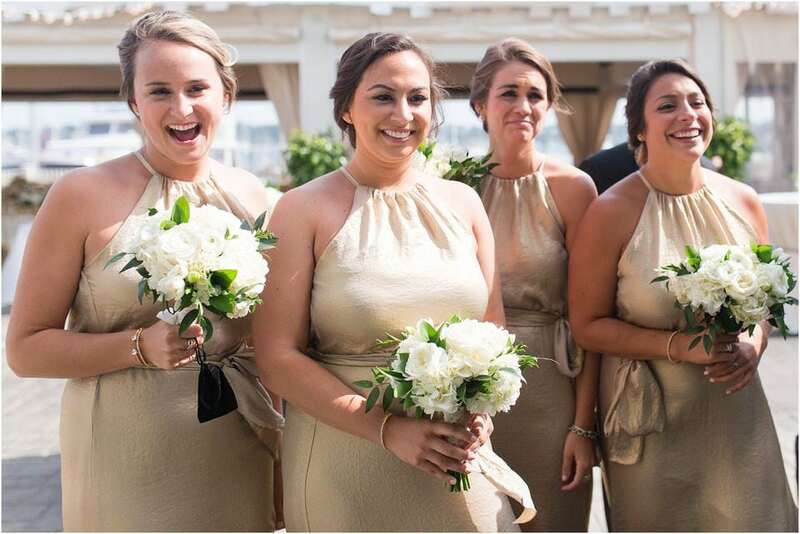 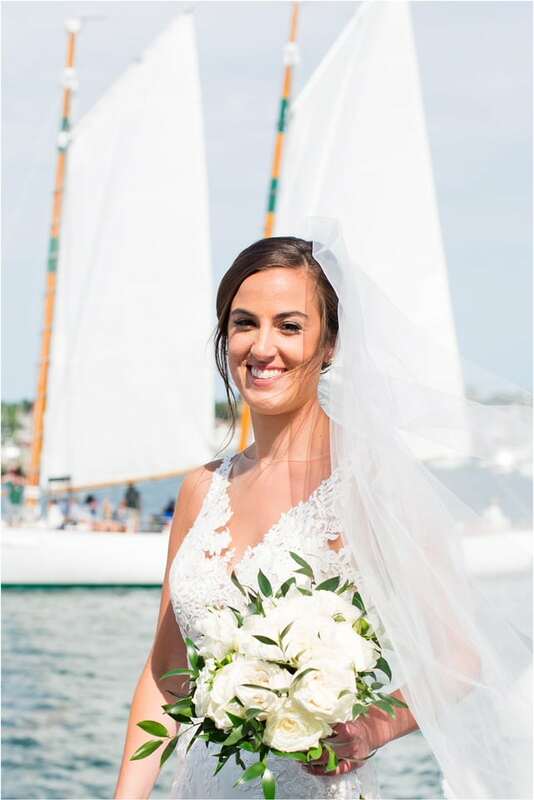 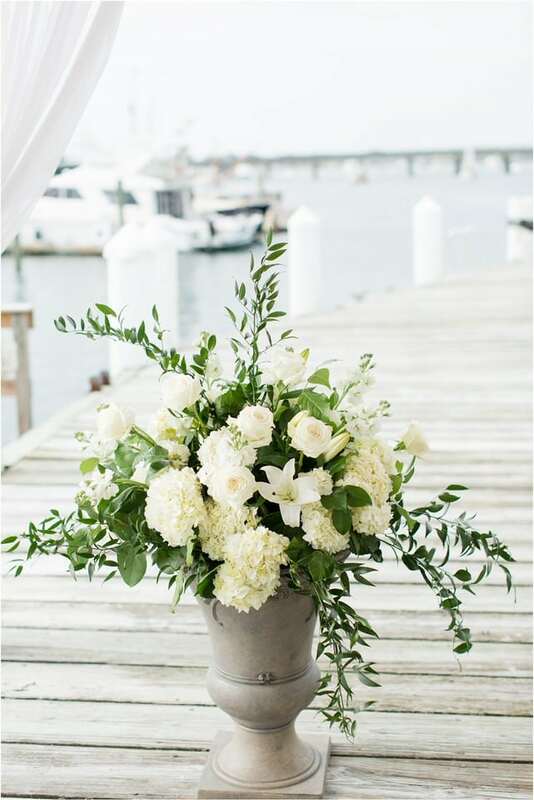 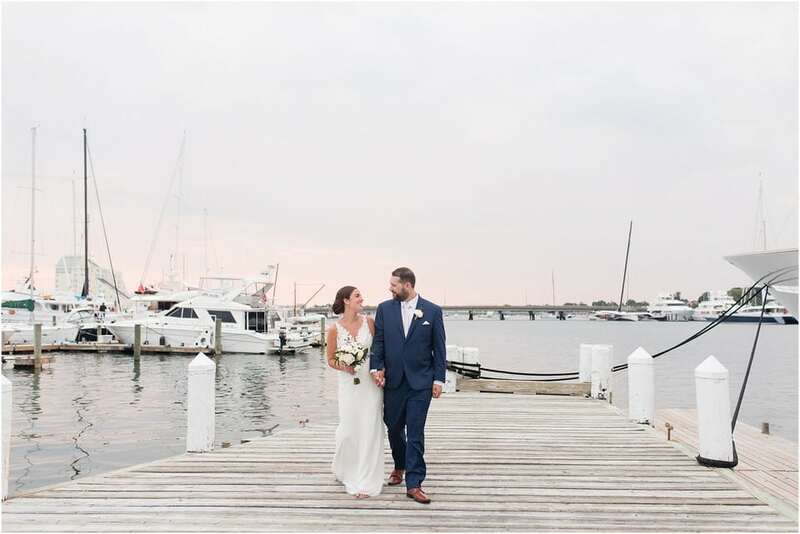 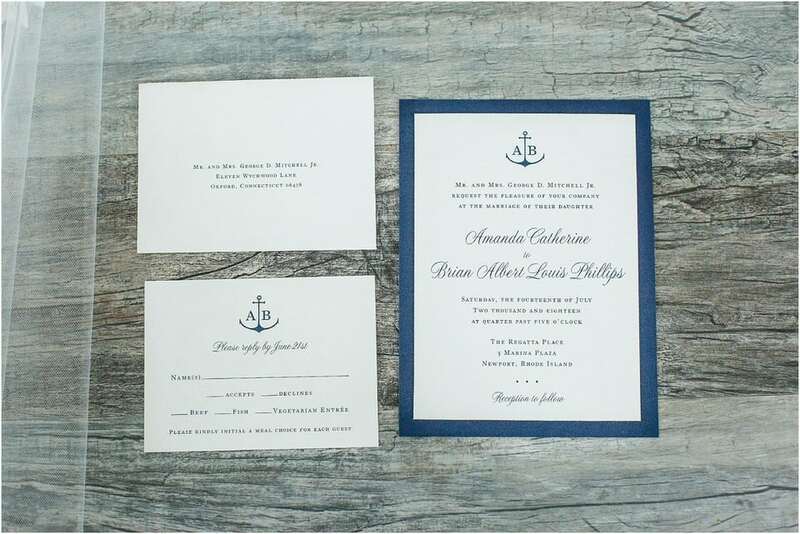 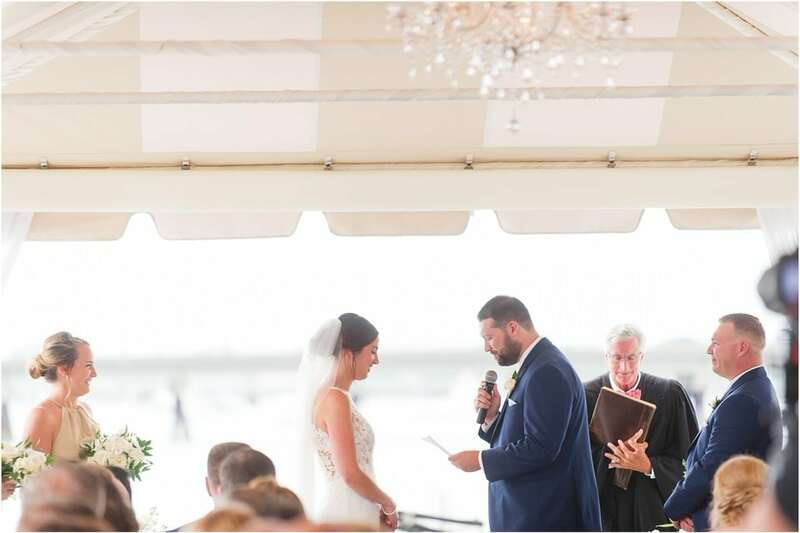 Amanda and Brian exchanged vows right on the water with a view of the Newport Bridge. 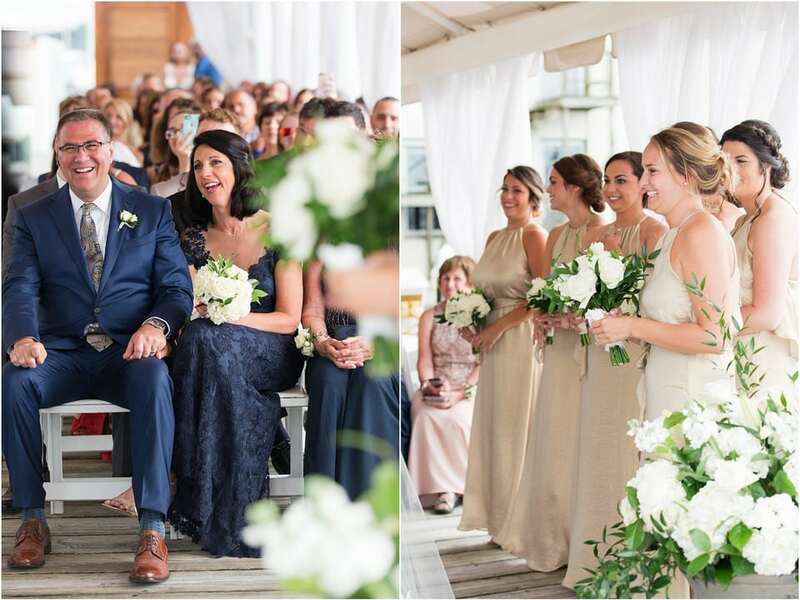 There were so many tears, big smiles and cheers from the guests as they listened to the couple spill their heart out and tie the knot. 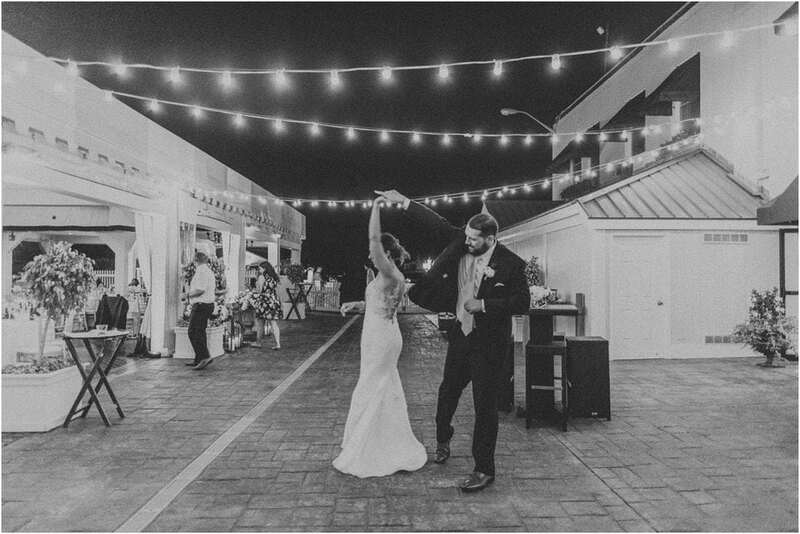 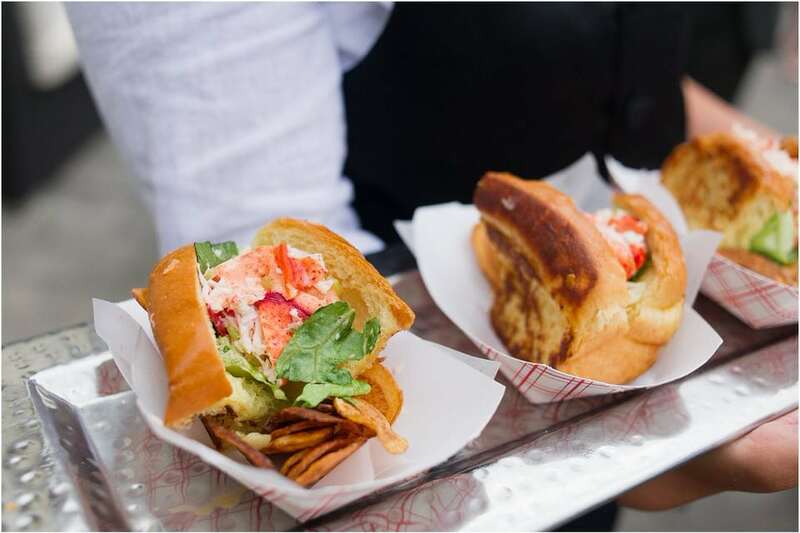 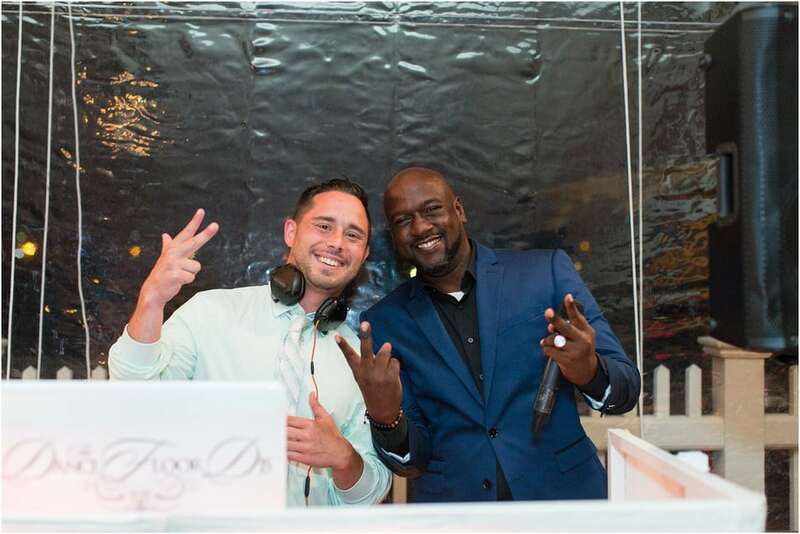 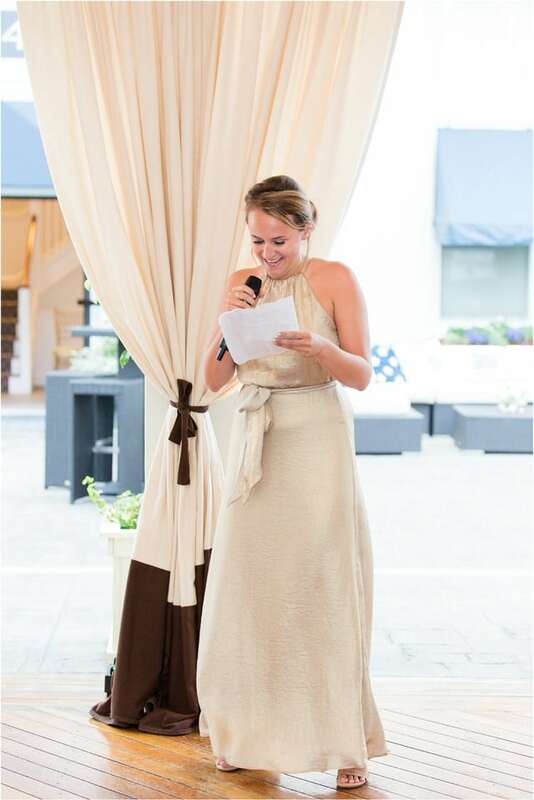 The night unfolded with heartfelt speeches, delicious food and epic dance moves. 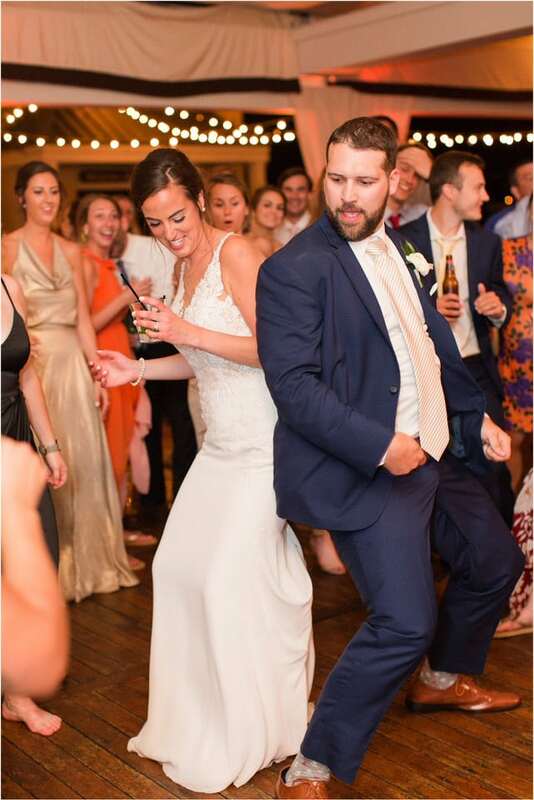 Right before we left, Brian busted out the entire Humpty dance song once again and he absolutely nailed it!! 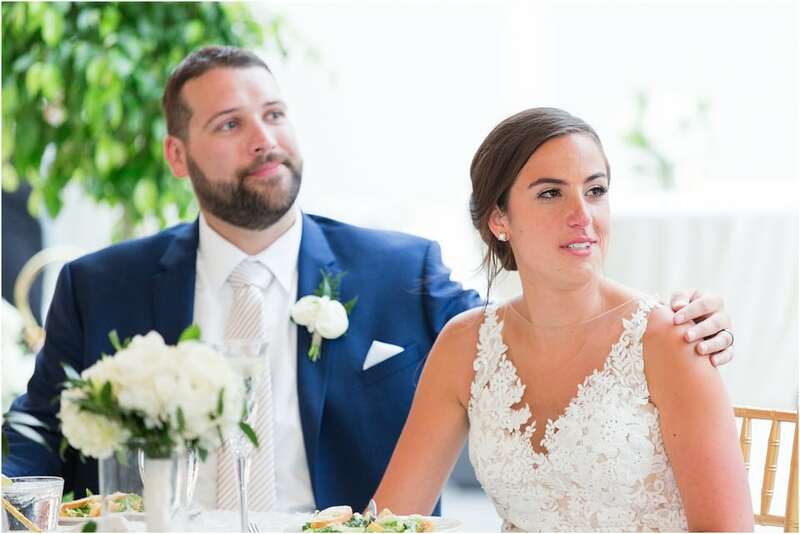 Amanda and Brian, oh what a year it has been! 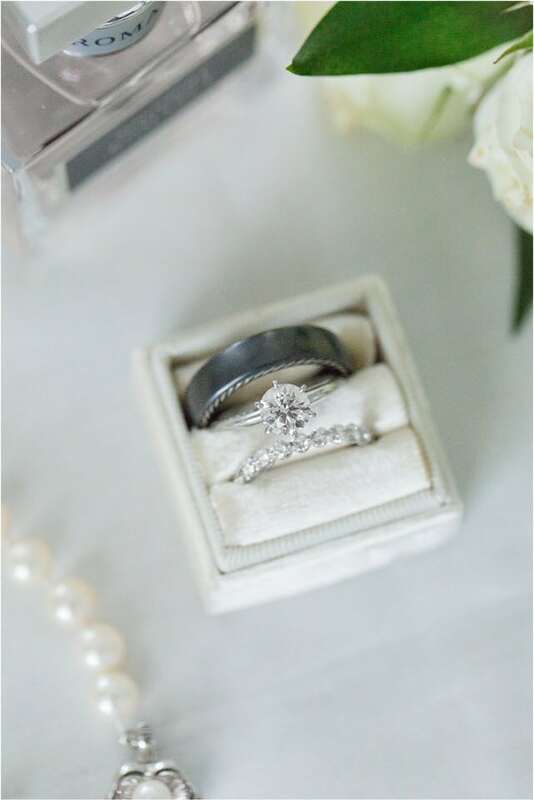 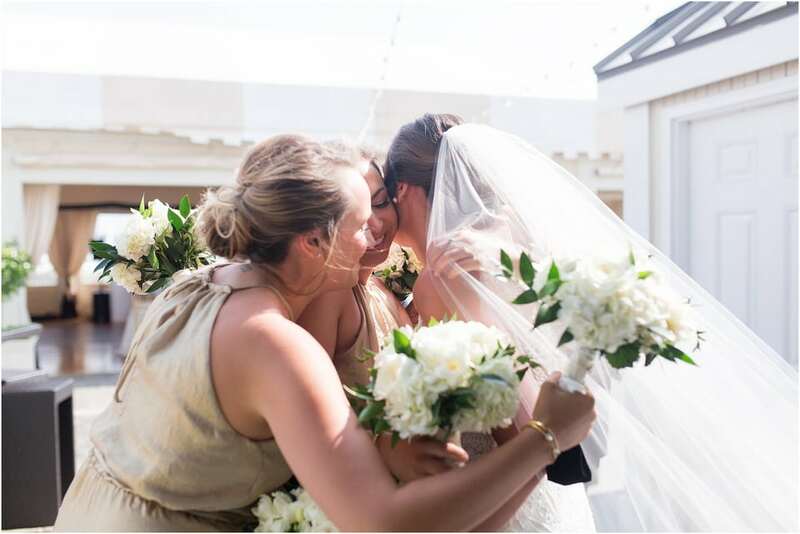 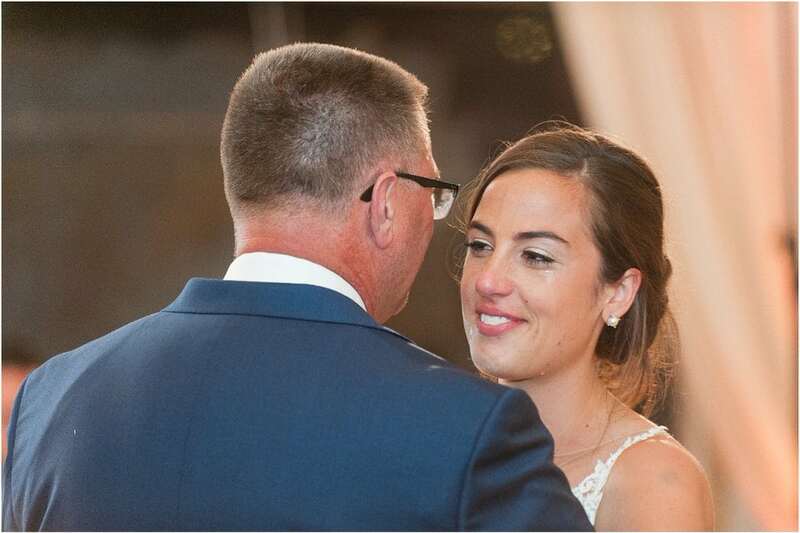 From that moment Brian proposed to the wedding day – I am truly honored to have been by your side through it all. 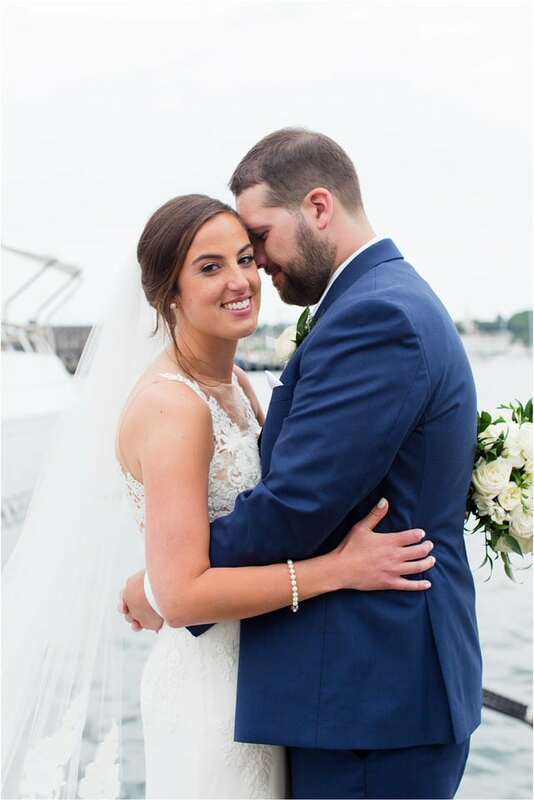 Enjoy your new house newlyweds! 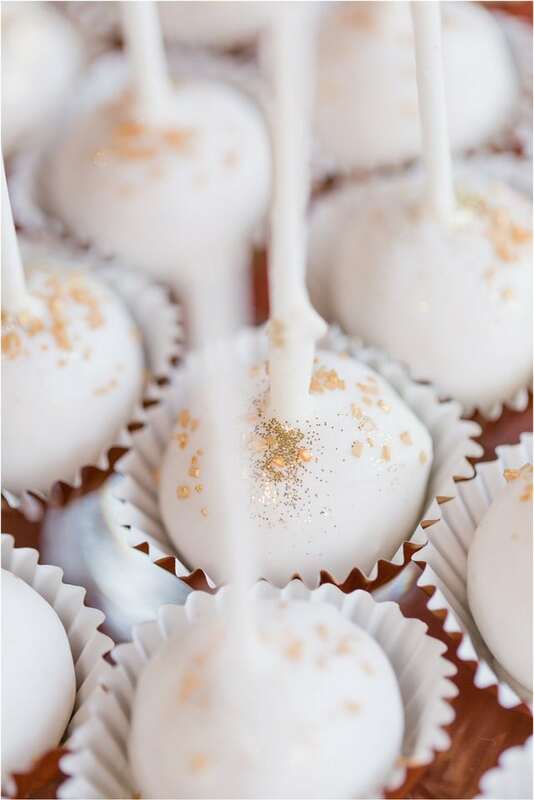 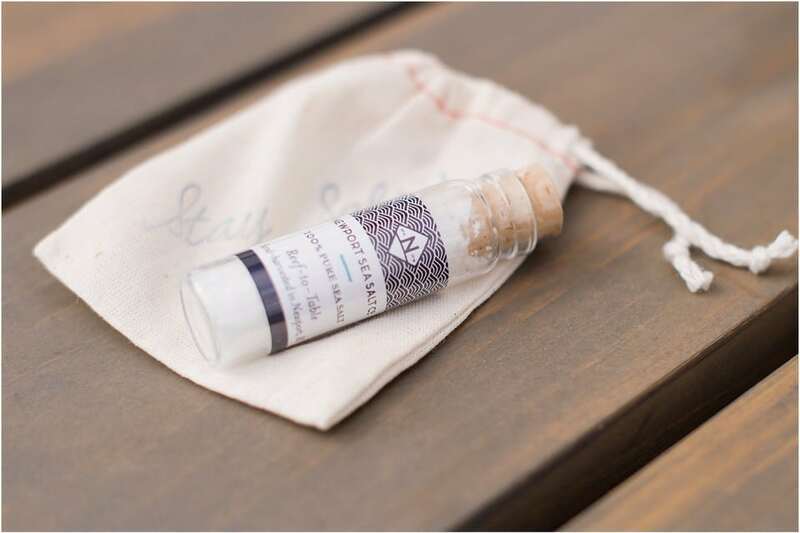 Favors: Newport Sea Salt Co.